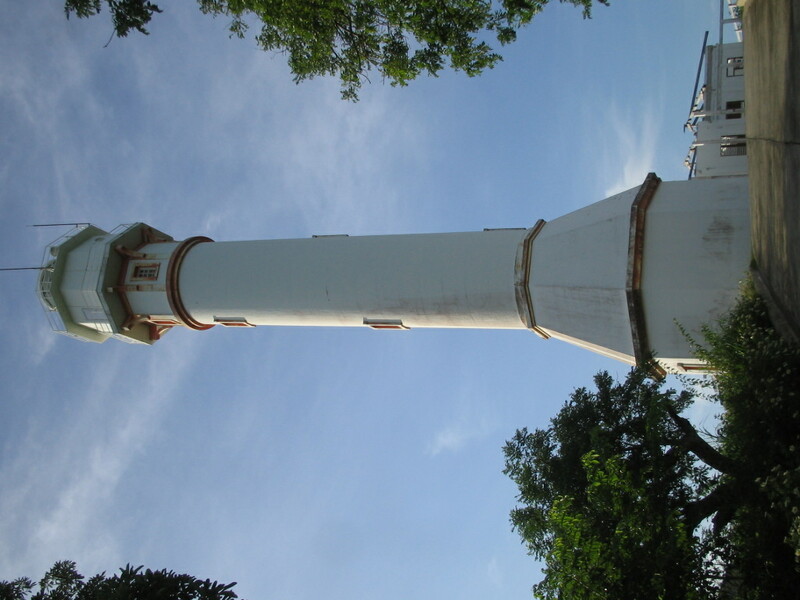 I have been to most of the Philippines, and to several points in Pangasinan – – – Hundred Islands, Sual, San Fabian, Dagupan, Urdaneta, Alaminos and some towns in between, including a pilgrimage to Manaoag – – but for some reason, never got to Bolinao. 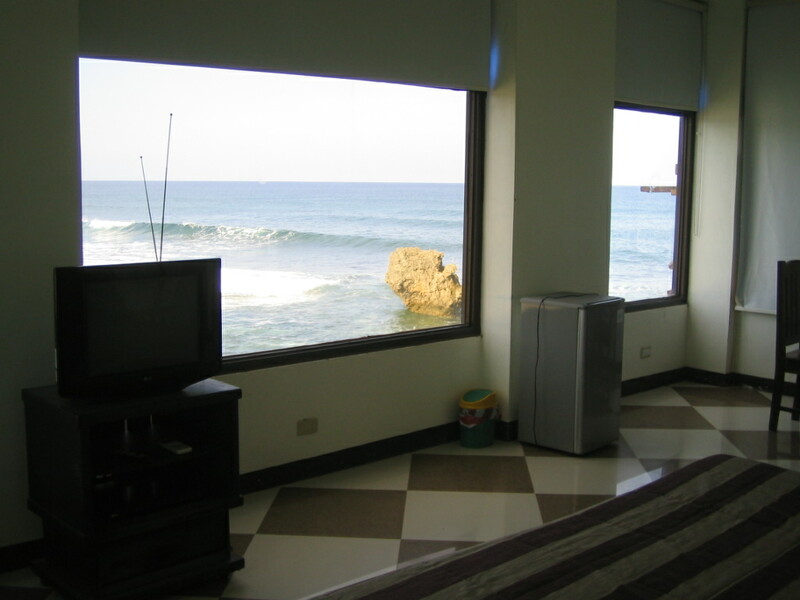 I distinctly remember a client-friend talk of Bolinao with fondness, saying he brings his family there every summer. Thus, from Zambales, I went to Bolinao. It was a very nice drive from the last Zambales towns to Dasol in Pangasinan, and onwards to Bolinao via Agno and Bani. All coastal towns dotted with beach resorts. If only I had all the time in the world, I would stay a day or two in each town. But on this trip, I had a back-to-home schedule. I had to be home for our wedding anniversary, and yet, I still wanted to cover the Ilocos region afterwards. 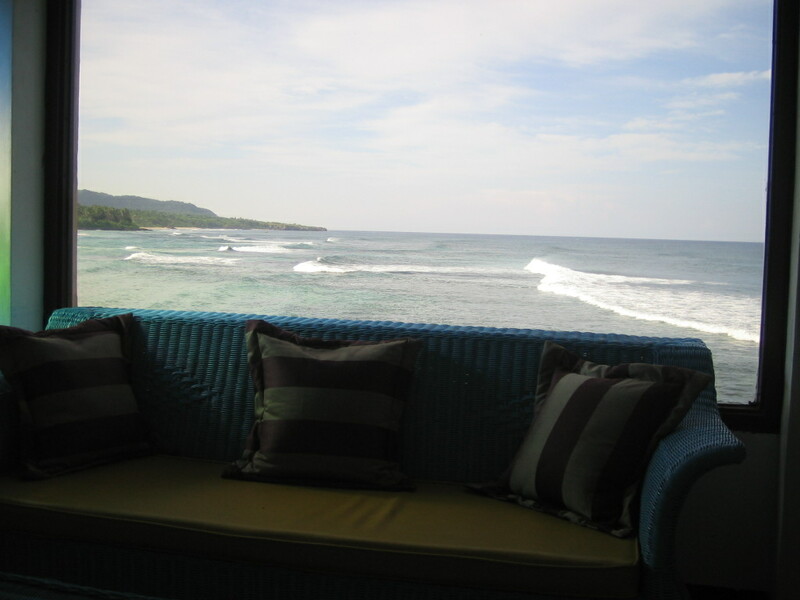 Priorities. . . . Now I understand why my client-friend loves Bolinao. It is a beautiful town. Even the quaint town center, with the old church and the food stalls on the side of the town’s gymnasium is already worth the trip. church built in 1609 - now 411 years old ! Deliberately, I checked out the farther end of town, until I got to what seemed to be a dead-end, the fisherman’s wharf. 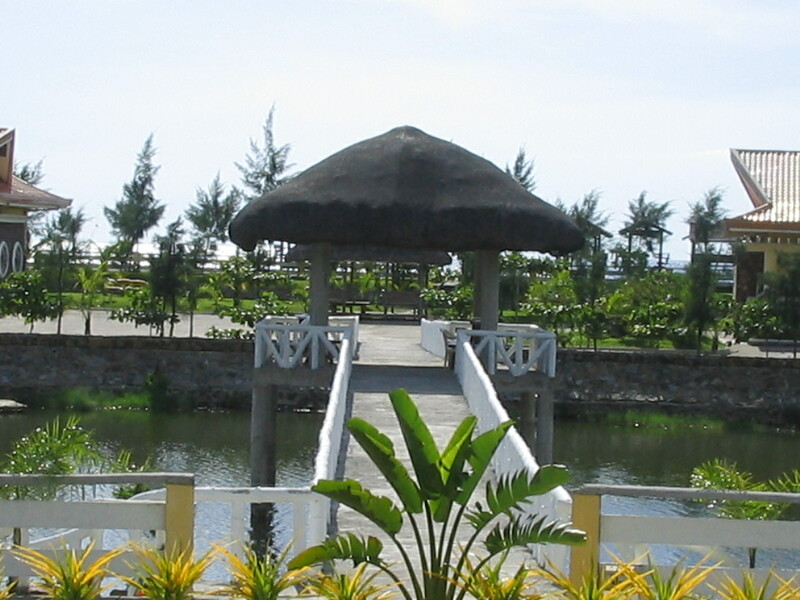 I then turned around to get to the resort area, turning at Carmak where the booking station of one of the resorts, Treasures of Bolinao, also stands. A few kilometers onwards and the row of resorts starts. 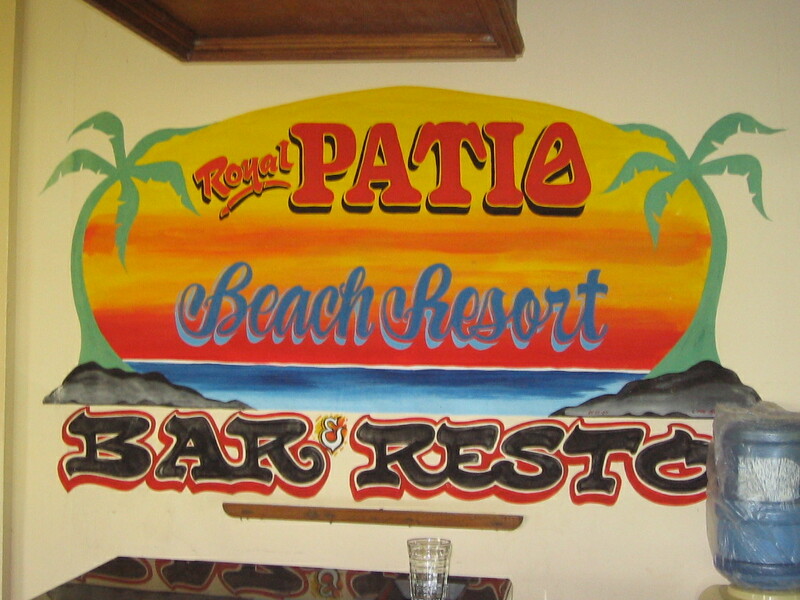 One can see that the bigger and better resorts are able to advertise themselves. Puerto del Sol. Treasures of Bolinao. 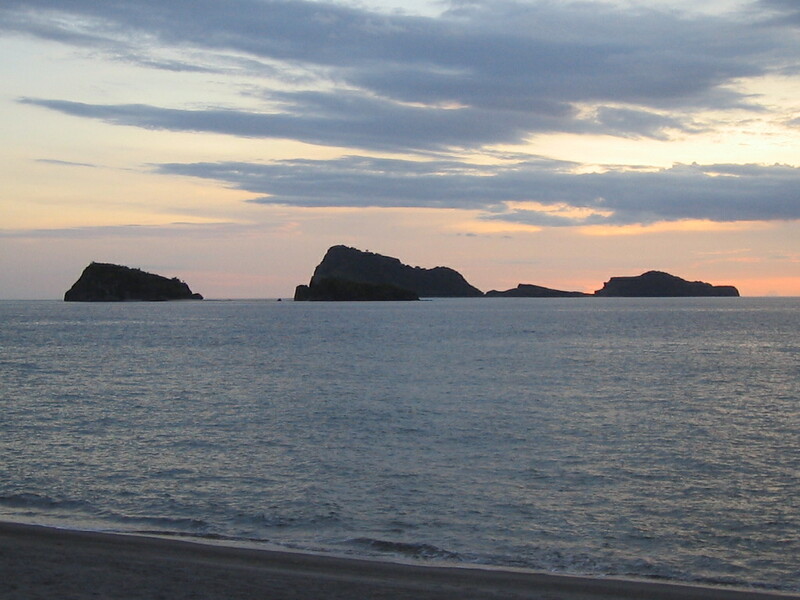 Punta Riviera. Puerto del Sol had a blurb on their posters “Pre-Holiday treat. 35% off on Published rates. 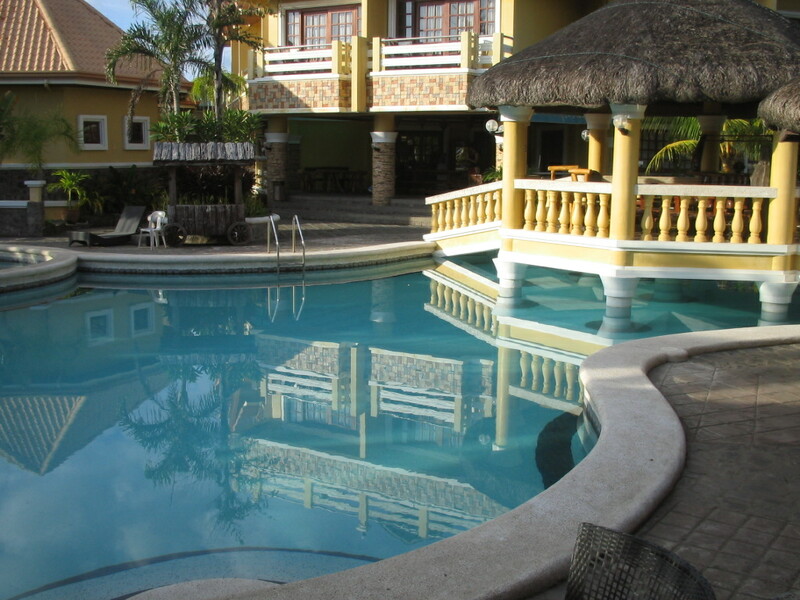 Book now for as low as Php 1,450.00” And who would not be attracted to such proposition, seeing with my own to eyes that the resort, indeed, was one of the better resorts in town? I went to the front desk and promptly booked a room. The room, as it turns out, costs P3,900 at promo rates. I asked “what about the P1,450 as advertised? They said it is for an “open cottage”. Talk about truth in advertising. Anyway, tired from a long trip from Zambales, I said I will get a room anyway, and can I please see the room? The front desk clerk showed me photos from a file, and when I requested to see the room so I can decide what type of room to get, she was like dragging her feet to take me to the villas. I liked the room, signed up, and gave my card. And then I was told to deposit P2,000 CASH on top of full payment for my room. I was shocked, and asked why. The front desk clerk said it was their policy, to cover incidental expenses. I reasoned that they can always charge the expenses to my card, and that by virtue of my visa card being approved as they swipe, I become a known entity. Still, she insisted that this was a policy. Exasperated, I opened my wallet to show her I had much much more than the P2,000 deposit they wanted, but that I won’t do it because it is offensive, and insulting. I told them that I have been to most parts of the world, and to practically all points in the Philippines, and NO ONE EVER ASKED for a cash deposit. I left, never to return to Puerto del Sol ever again. I went to Punta Riviera instead. Then I realized, everything happens for a reason. (N.B. The moment I learn that this cash deposit policy is changed, I will promptly advise my readers on this blog about this development. I might even try and stay to experience this beautiful resort – – – and of course I will pay for my stay, as decent bloggers do). PUNTA RIVIERA is a nice resort with a location that could very well be the envy of other resorts. 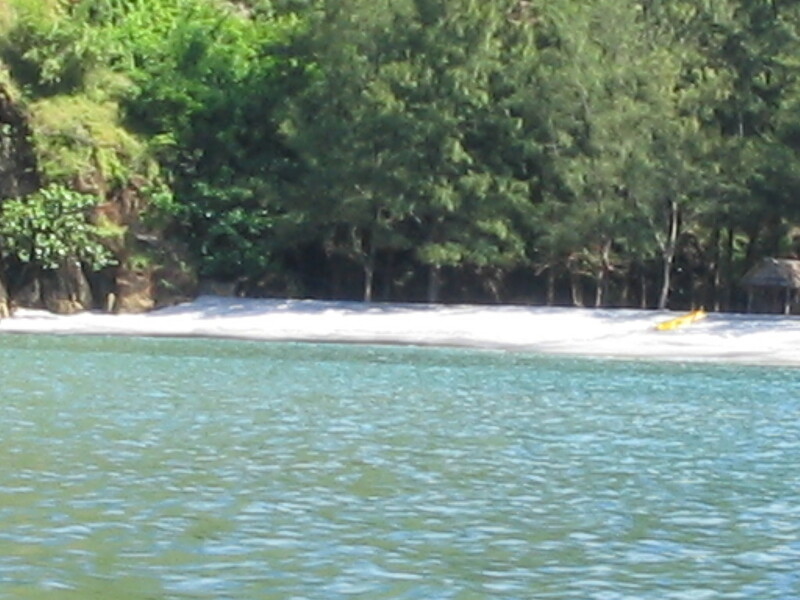 They are the only resort with a river, a sandbar, and of course the white sand beach. 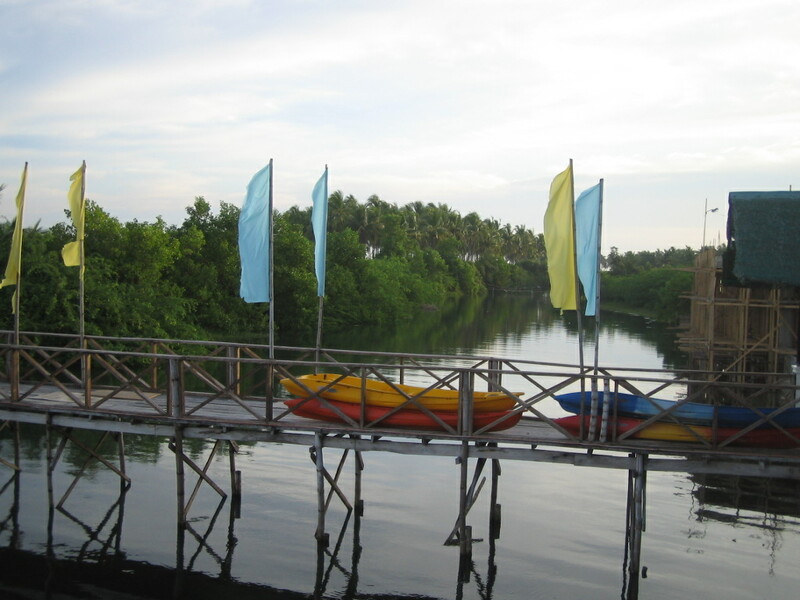 Guests can use the resort’s kayak down the river for free. The infinity pool, while quite small, is beautiful and clean. 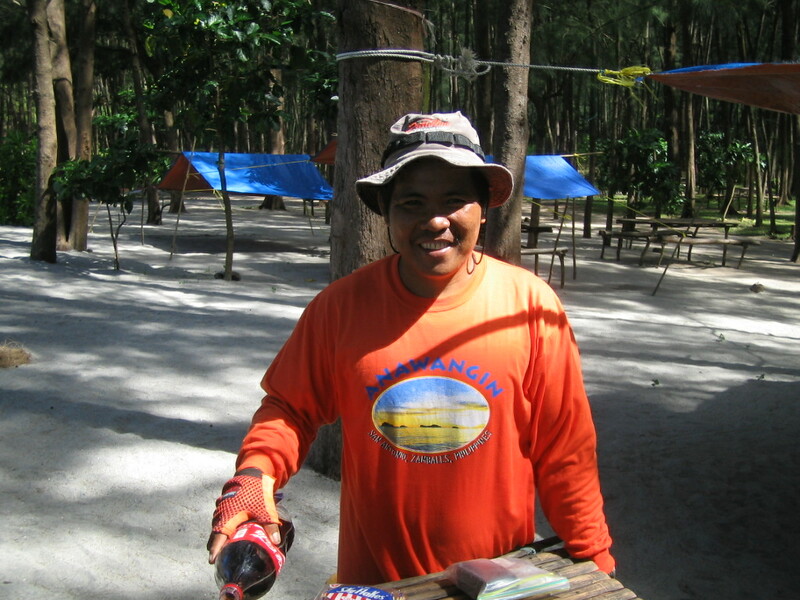 Most of all, the resort has a super friendly staff, and super friendly owners. Because it was off-peak, I was given a room that normally costs P6,000 a night for only P3,500, inclusive of breakfast for two. Published rates start at P2-3,000 for cabanas, with family rooms for 8 persons at P12,000.There is a suite for 6 persons at P13,000, and an El Grande at P14,500 for 15 persons. 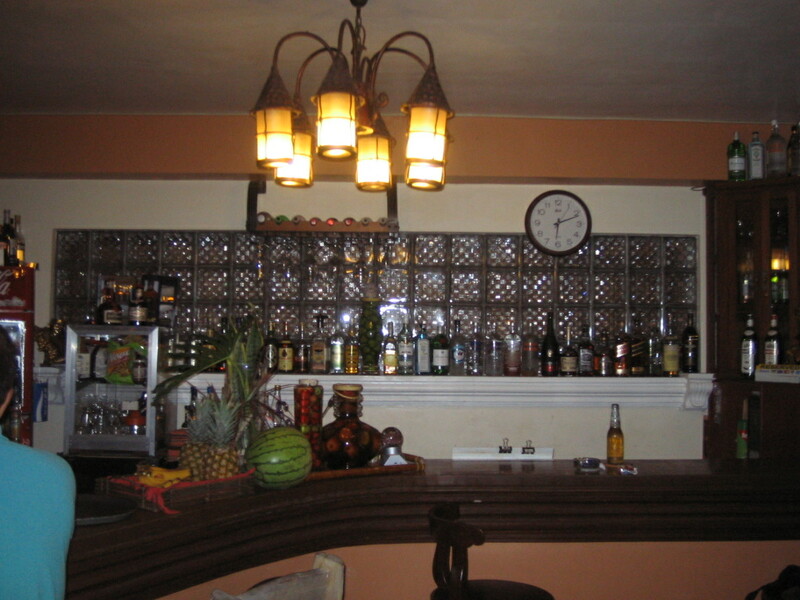 The restaurant serves good food, and the bar is well-stocked with excellent wines and liquor. The bartender makes good mixed drinks, and the spirits and mixers are all A-1 (take it from someone who knows his drinks). The waiter, Jethro, suggested I try “dinakdakan” and it turned out to be the best dish I had throughout this 5-stops trip. And I was only my second stop. 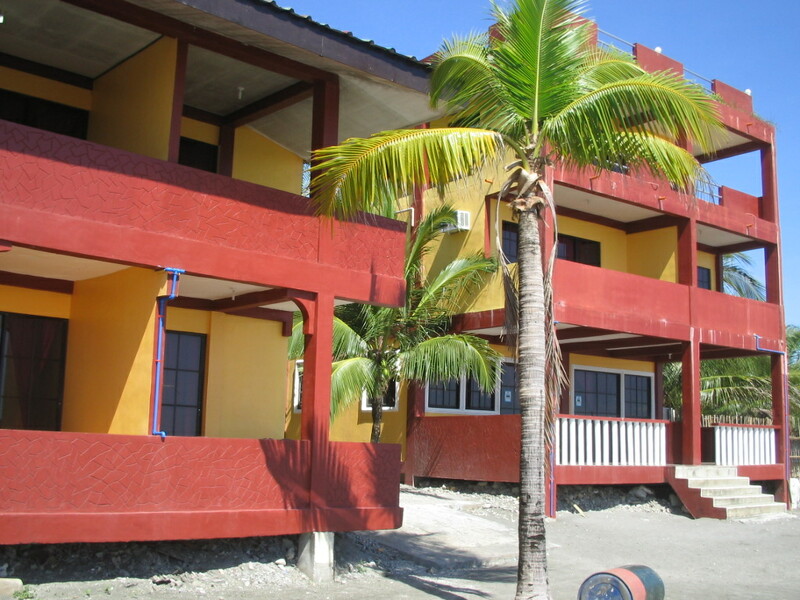 Punta Riviera can be booked by email : punta_riviera_resort@yahoo.com, or by phone (63) 756961350 / 756961274. 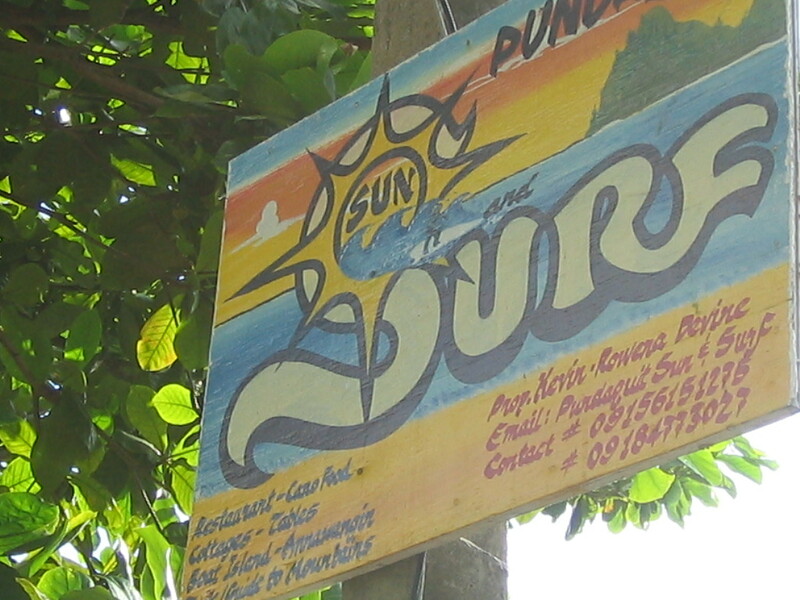 Website : http://www.puntarivieraresort.com. Look for the owners Aileen and/or Ian, or their very amiable front desk staff, Elvie.. 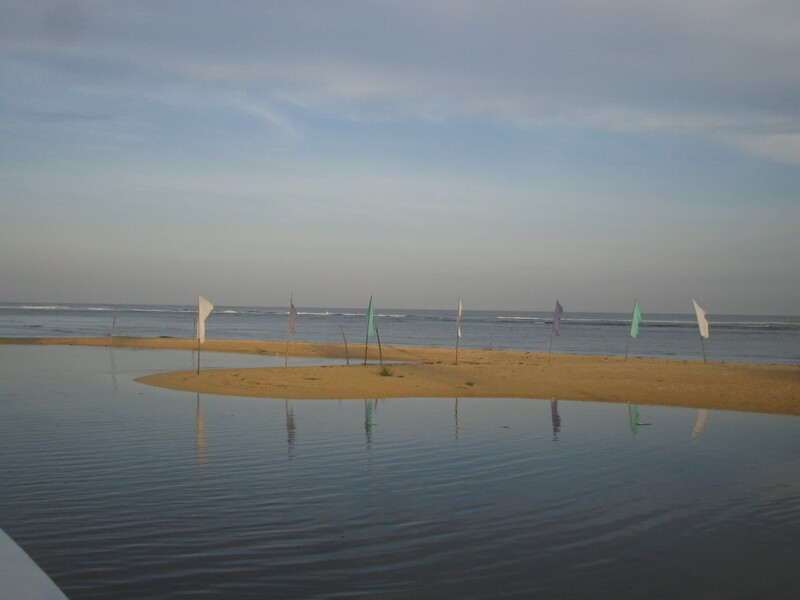 Located 5 kms away from Punta Riviera, towards the end of Cape Bolinao, is Treasures of Bolinao. 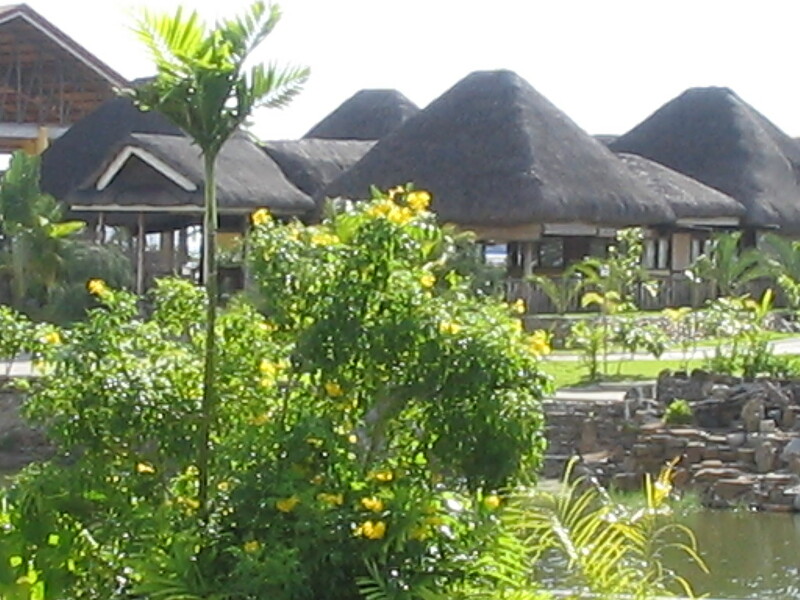 It is a huge complex with villas, cottages, and suites. Rates start at P4.000 for 2, with the Maharlika room at P8,000. 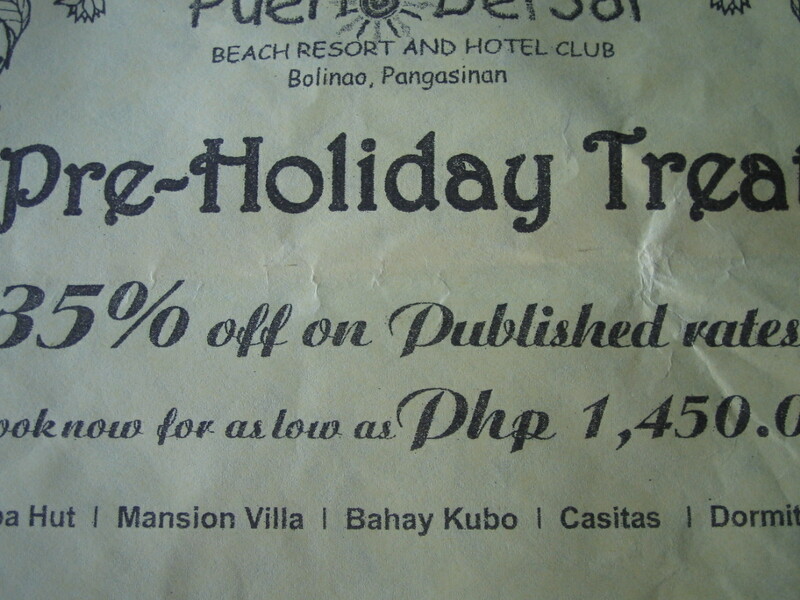 Visitors can, of course, ask for off-peak rates (like the villas then were available at only P3,000). 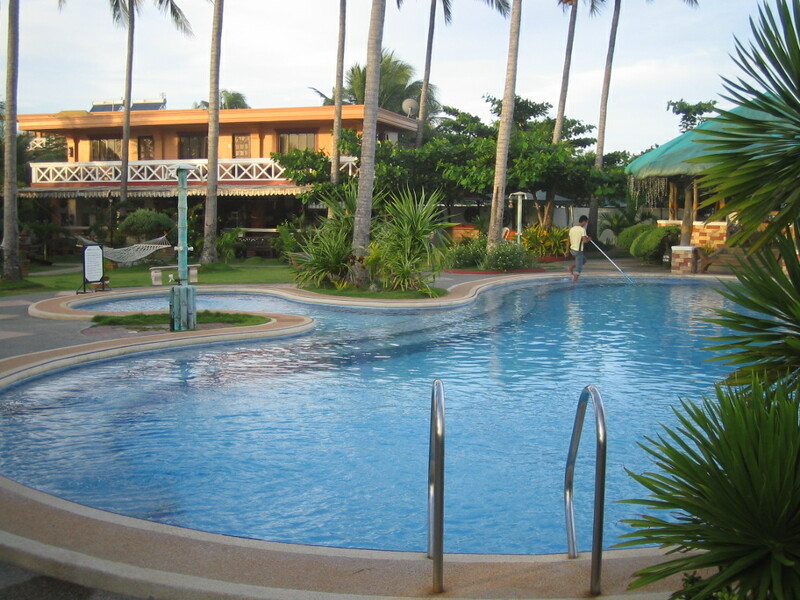 Guests at Treasures can use the resort’s facilities like the jacuzzi, the swimming pool, billiards, videoke bar, and corkage is free. 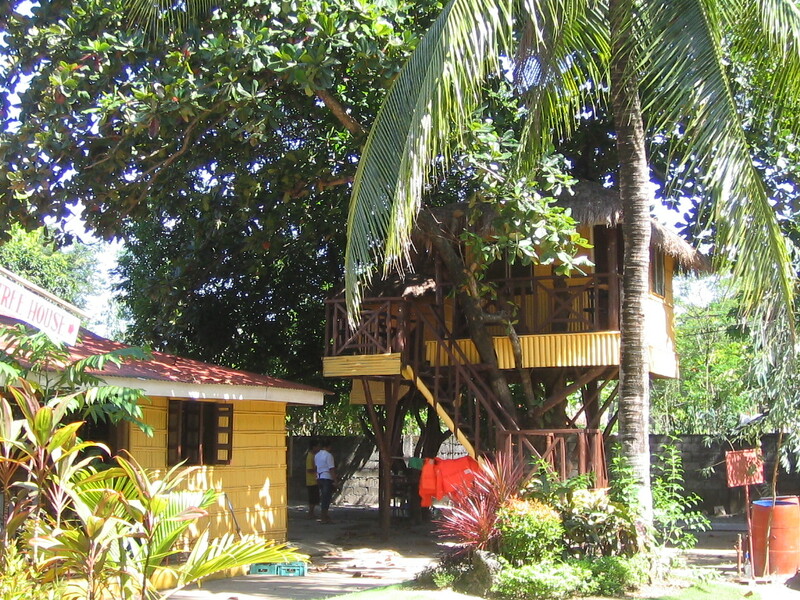 There are a lot of alternative accommodations in Bolinao, with small resorts dotting the entire stretch of the cape. These smaller resorts offer aircon or non-aircon rooms to suit the traveler’s budget. 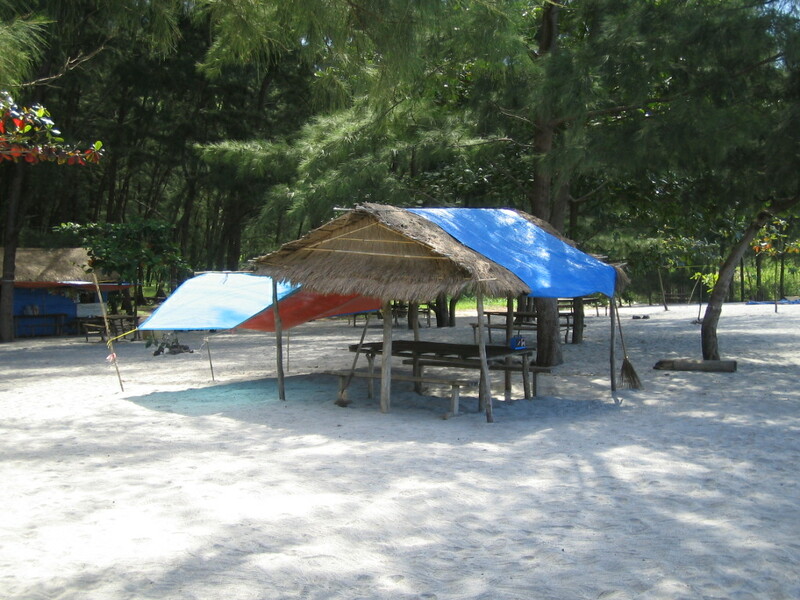 My guess is that even in summer, visitors will find a bed, if not a space to pitch a tent, in beautiful Bolinao. 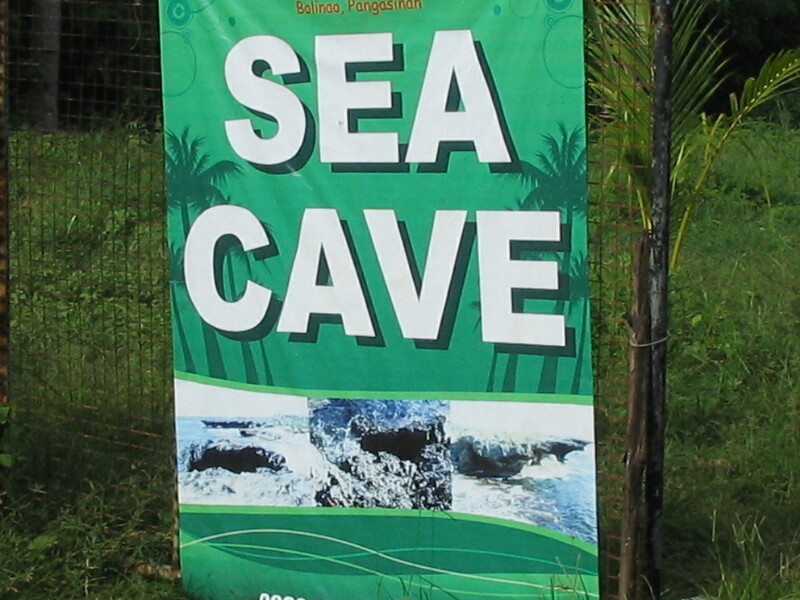 There are several caves in Bolinao. 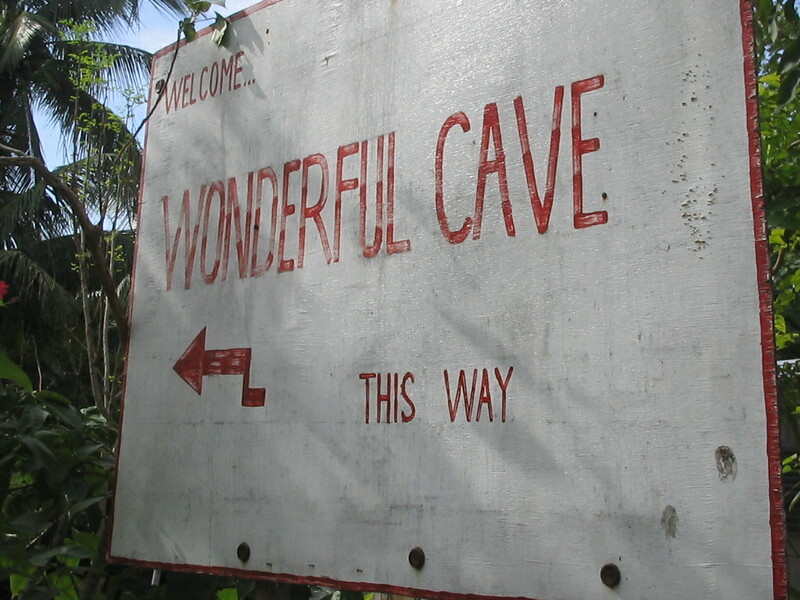 However, those into serious cave exploration will be disappointed. 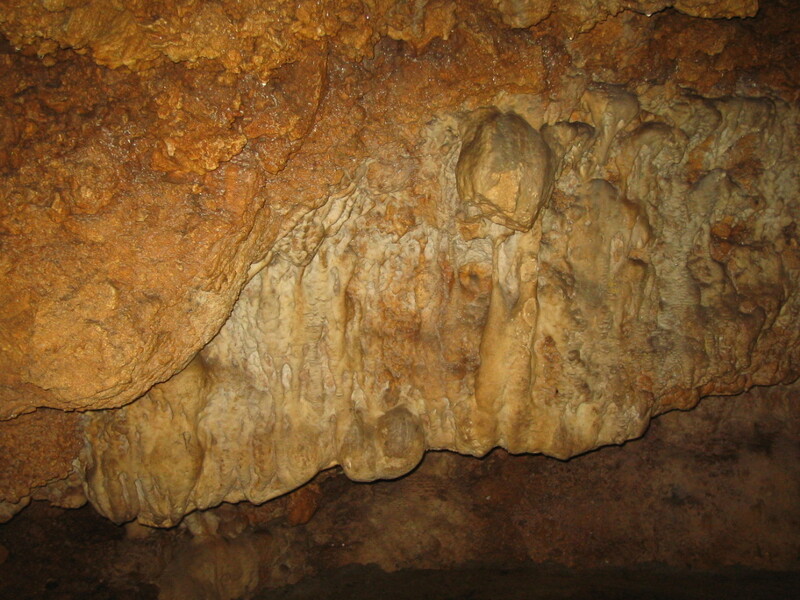 No, they are not like the Jenolan Caves, nor the caves in Sagada. 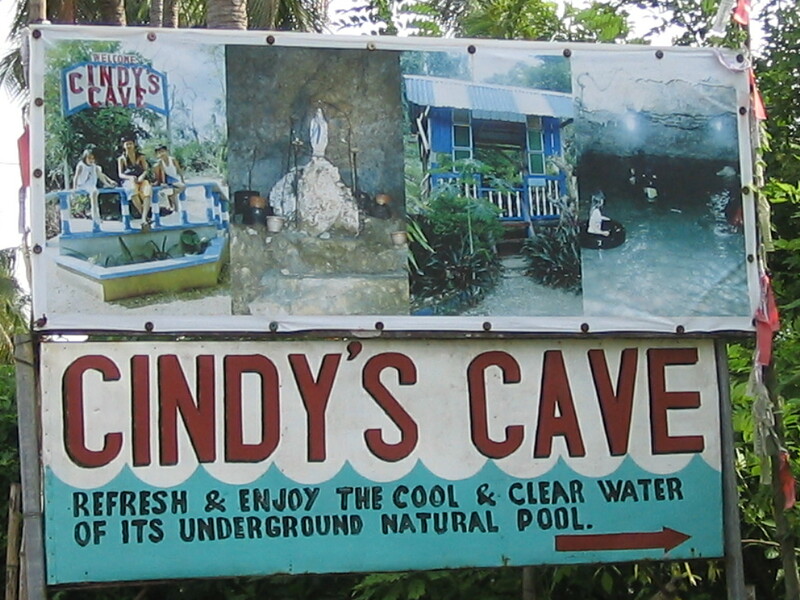 The caves in Bolinao are small, and have been converted into resort-type underground swimming pools. 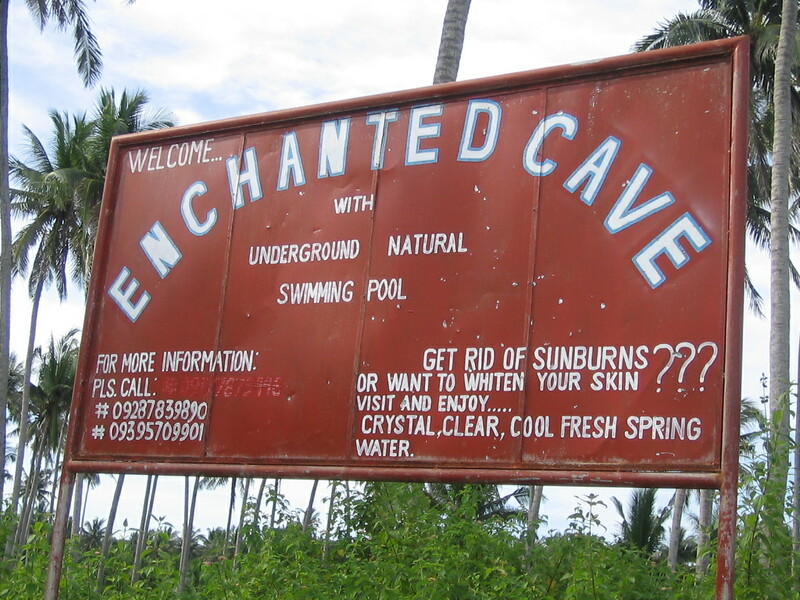 The most famous is Enchanted Cave, where the cast of Marimar once shot a scene with actors Dingdong Dantes and Marian Rivera. Do not expect to see marvelous stalactites and stalagmites. They have been ripped off, to “make passage to the underground pool less hazardous”. Oh well. Bolinao is such a well-kept secret. I guess it must be the distance. 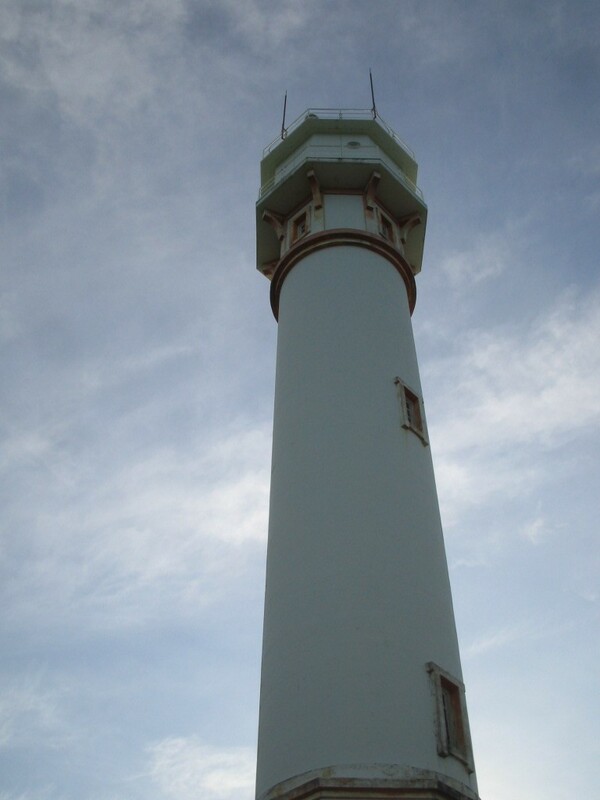 It is actually isolated, and visitors to Bolinao need to have this town as the destination, not just a side-trip. 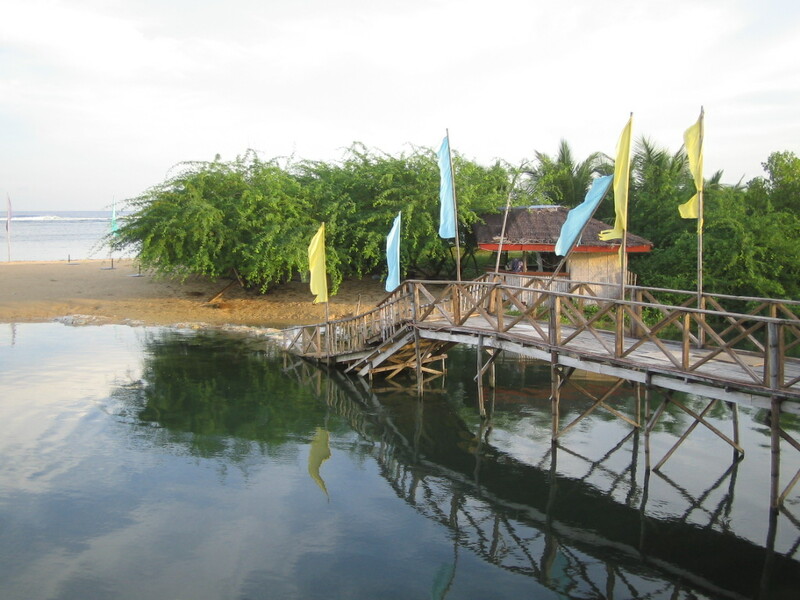 But having discovered this town, the other Pangasinan towns can be the side-trip, with Bolinao as THE DESTINATION. Shorter route: Take NLEX-SCTEX and exit at Luisita in Tarlac. Turn left to Camiling, first hitting the town of San Jose, and San Clemente before reaching Camiling. 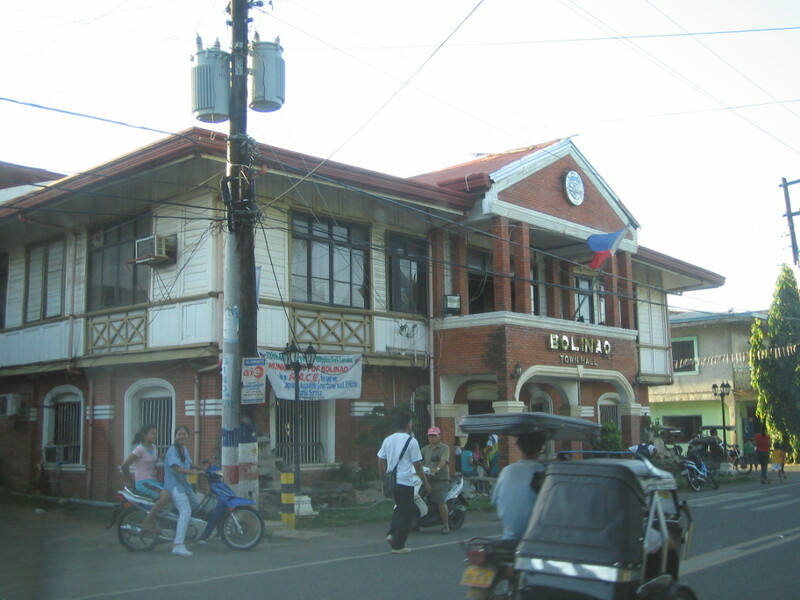 After Camiling is Tarlac’s last town, San Clemente. 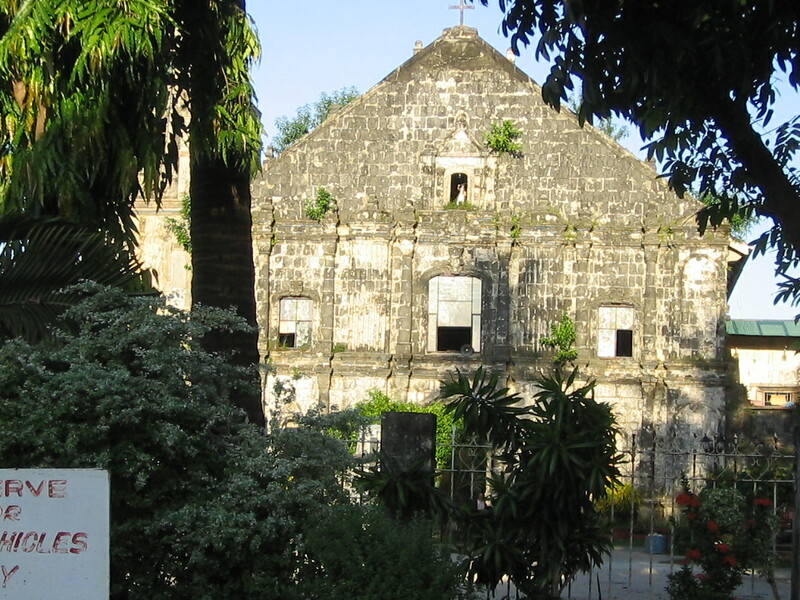 The it will be onwards to the province of Pangasinan : Mangatarem (stop by the church and take a snap shot, it is very beautiful ! ), Aguilar, Bugallon. Labrador, Sual, and finally Alaminos. 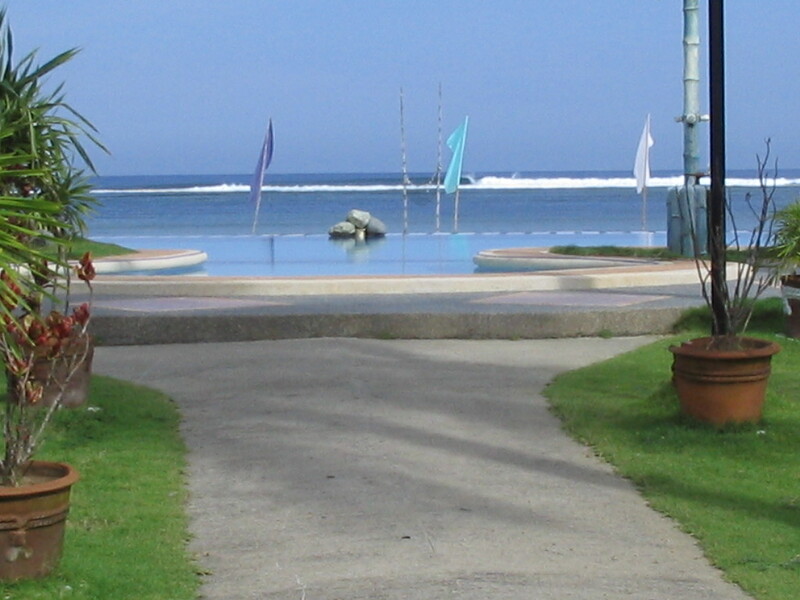 From Alaminos, the Bolinao resorts are an hour away via Bani. 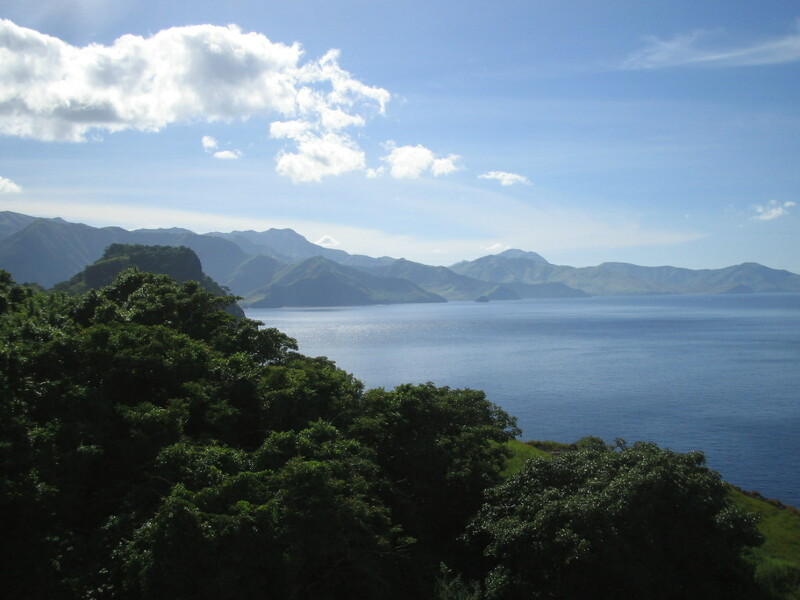 Scenic Route: I took the scenic but longer route via Zambales. Take NLEX-SCTEX going to Subic (SBMA). From Subic, go north, passing thru all the Zambales towns. It might be necessary to spend a night in either San Antonio or Iba. 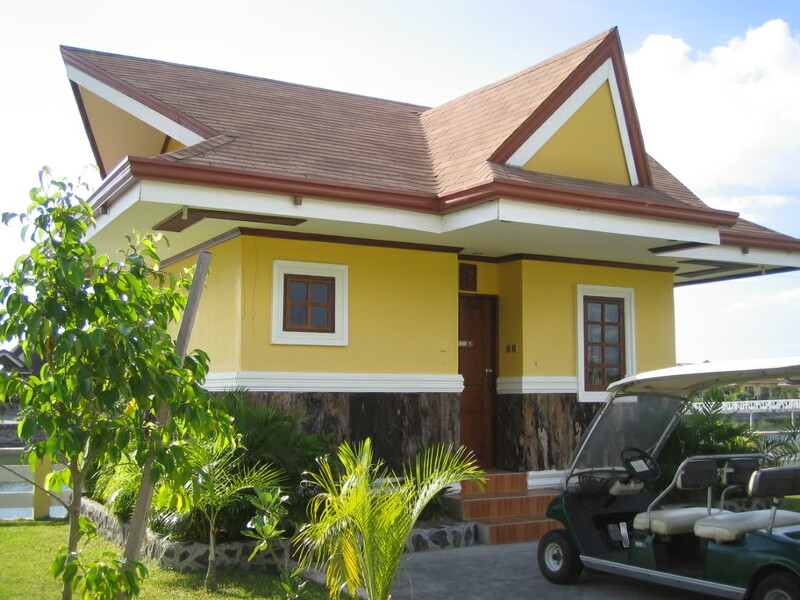 From the last town of Zambales, you will hit Pangasinan towns like Infanta, Dasol, and Burgos. 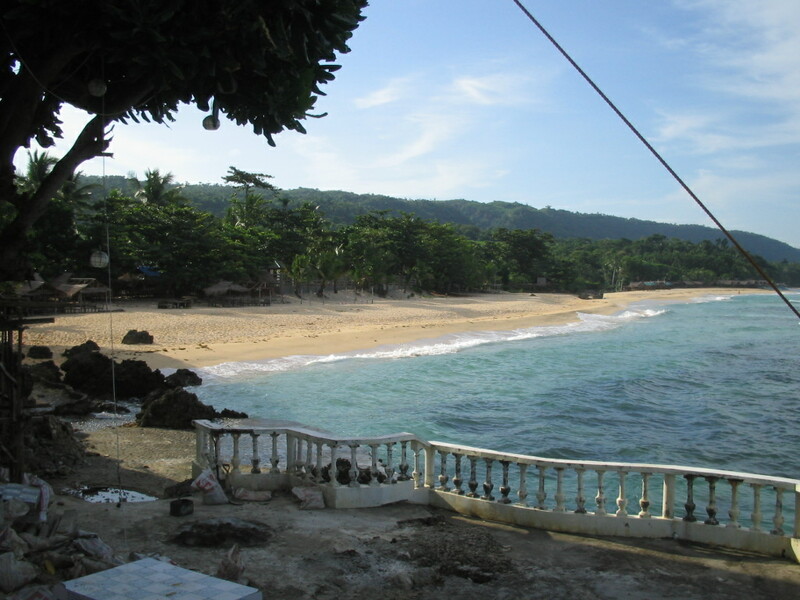 Drive on to Agno, Bani, and Anda, until you hit the town of Bolinao. 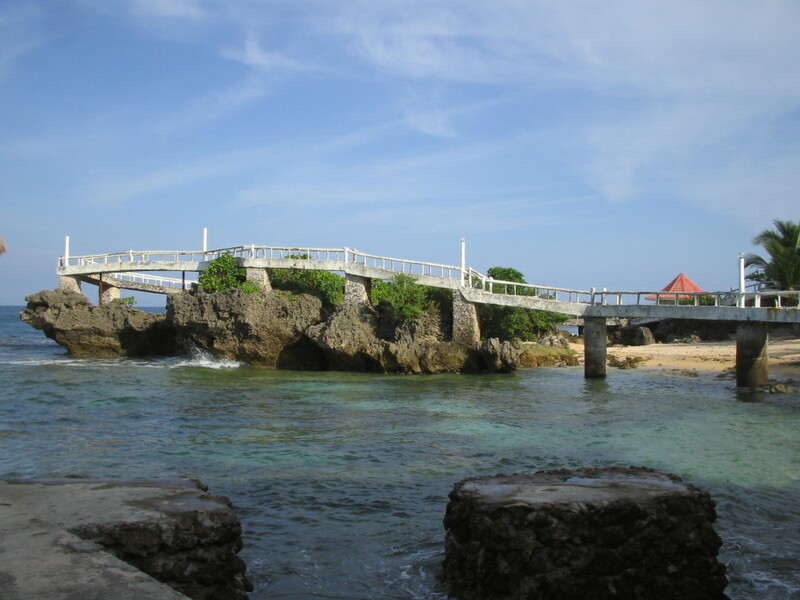 I will definitely be back in Bolinao, and Punta Riviera, with their dinakdakan, it will be. 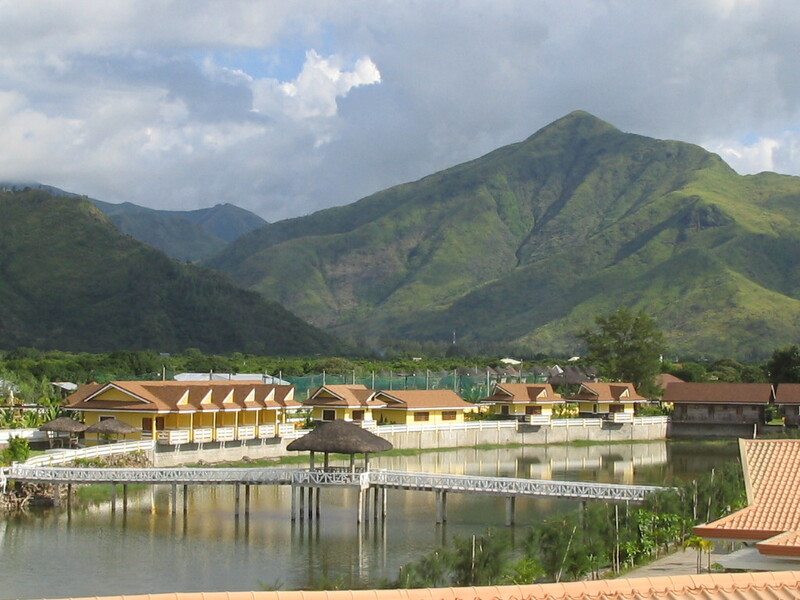 Coming from Anawangin in Pundaquit, San Antonio, I passed by Iba, reputed to be the resort town of Zambales. I checked out several resorts, thinking I could stay in one for the night, before heading to Pangasinan, my next destination. And truly, there are a lot of resorts. One right after the other. I decided to visit some. 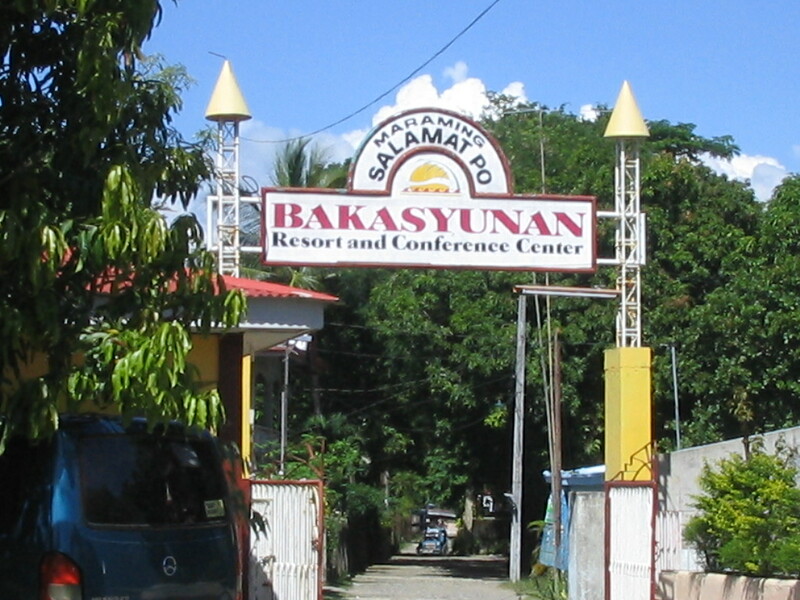 BAKASYUNAN Resort and Convention Center is huge, probably the largest in Iba. 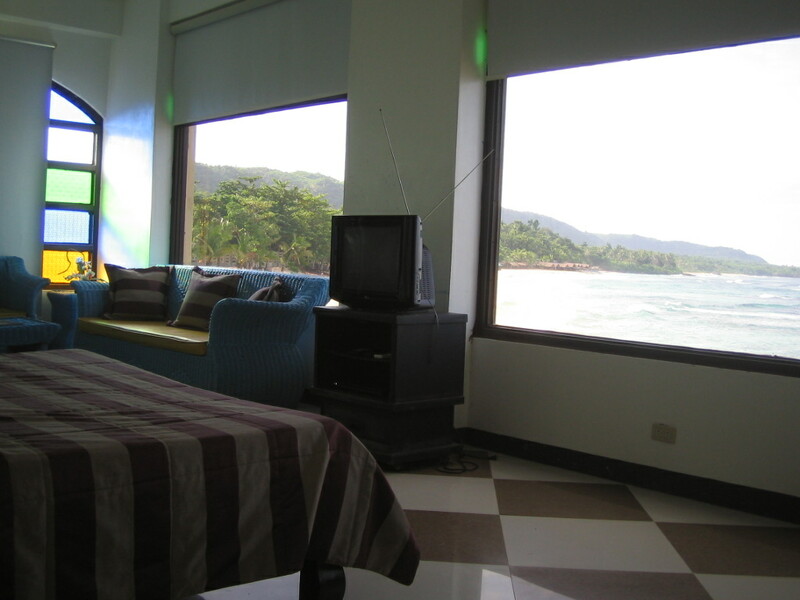 Room rates start at P1,500 for 2 persons, with dormitories accommodating 15 persons for only P7,000 per night. 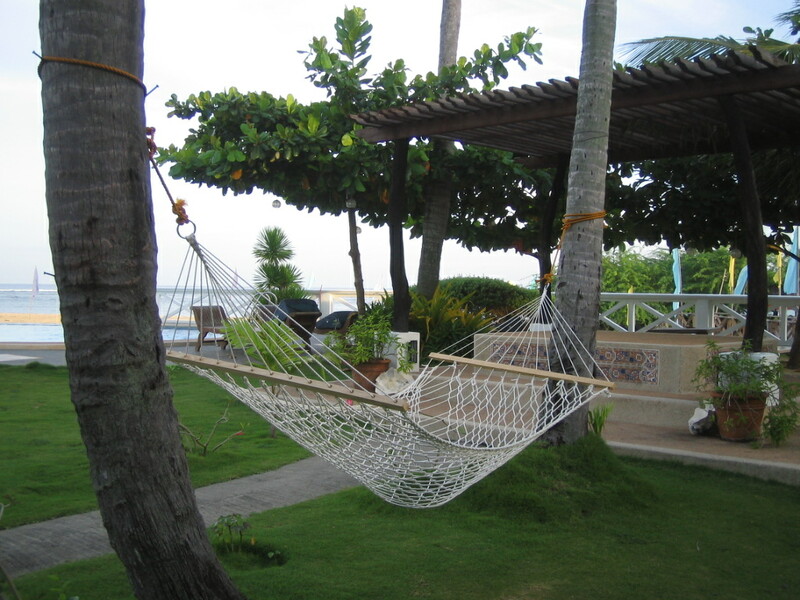 There are beach front accommodations that are the first to be booked – – a beachfront room for 6 costs P4,500. 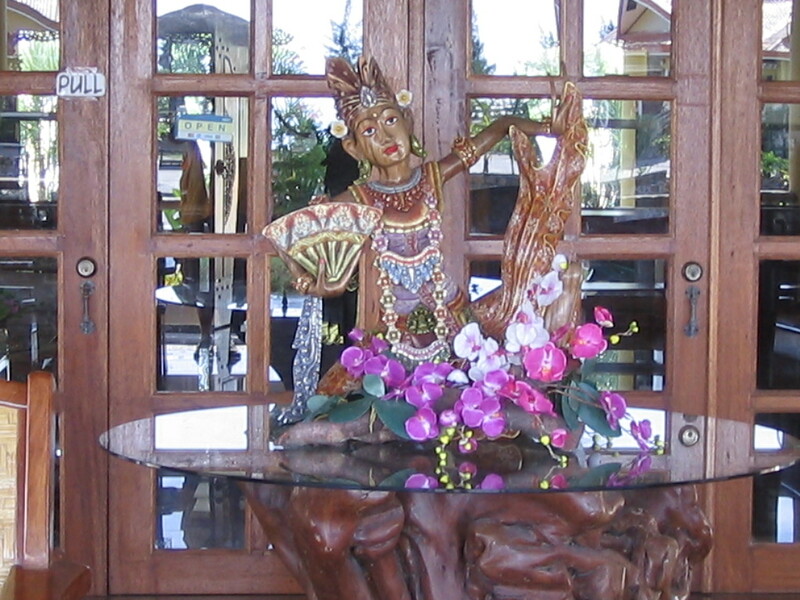 When I visited, there were several groups of guests in different nooks of the resort, practising what seems to be their performance for the night, apparently all attending a seminar or a convention of sorts. My personal favorite is PALMERA GARDEN. It is smaller, and cozier. 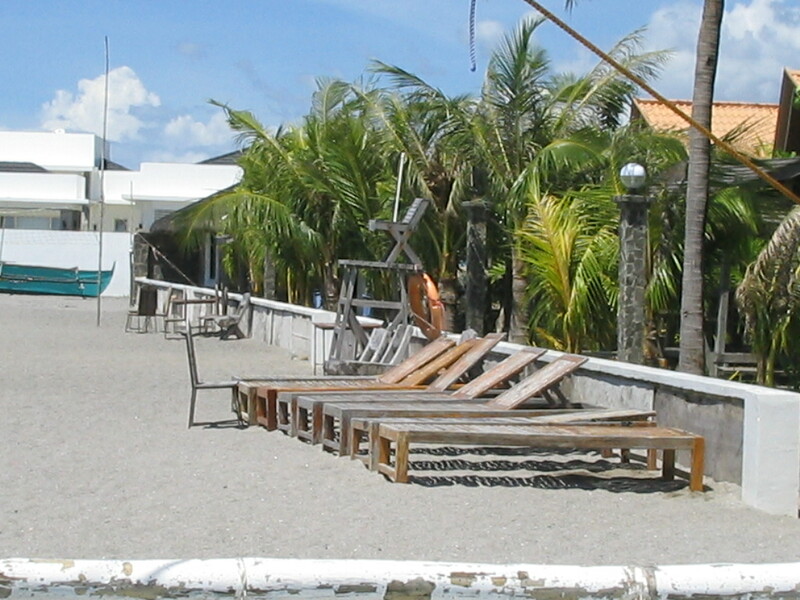 The Bahay Kubo restaurant is popular even among the locals. 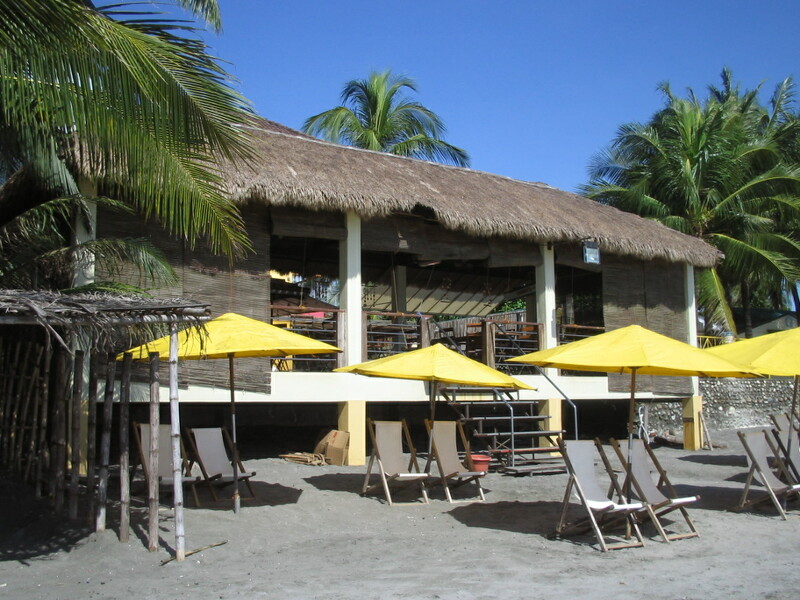 There is also a restaurant right on the beach, called PARA SA ATIN. 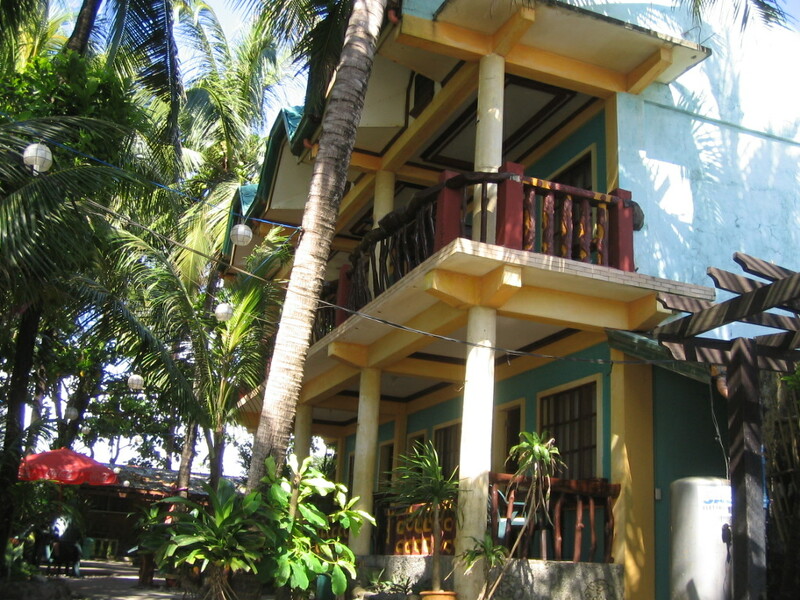 Rooms are at P2,200 per night for 2 persons, while aircon beach cottages are priced higher at P2,350. 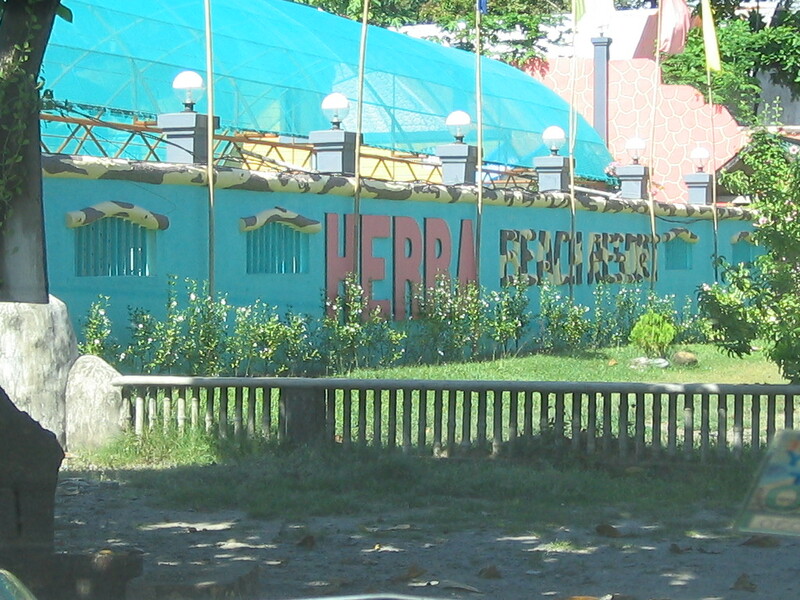 I also drove into HERRA’s but found the place to be rather too ordinary, and is the resting point of salesmen who are able to park their trucks or vans in its huge property. 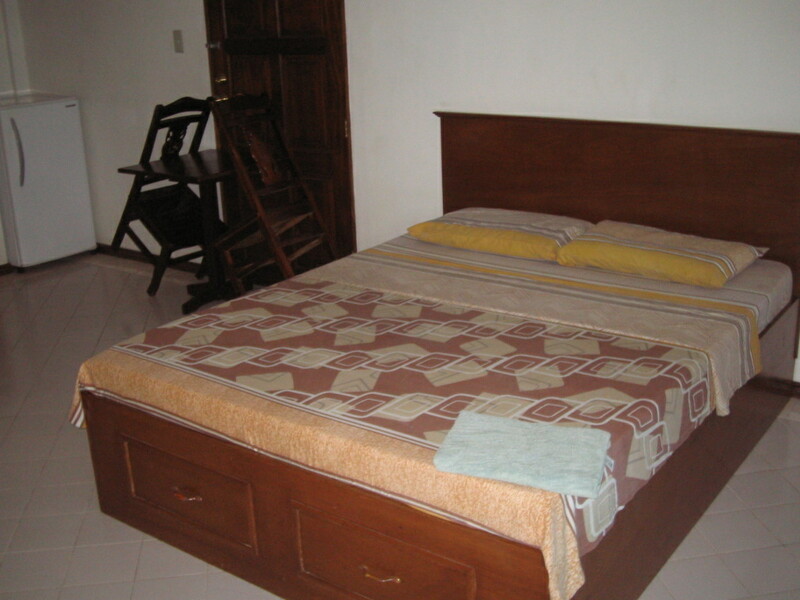 Rooms go for P1,500 per night. I was told Tammy’s is popular. Drove to this section and found out it was at a near dead-end and it was rather difficult to maneuver form there. 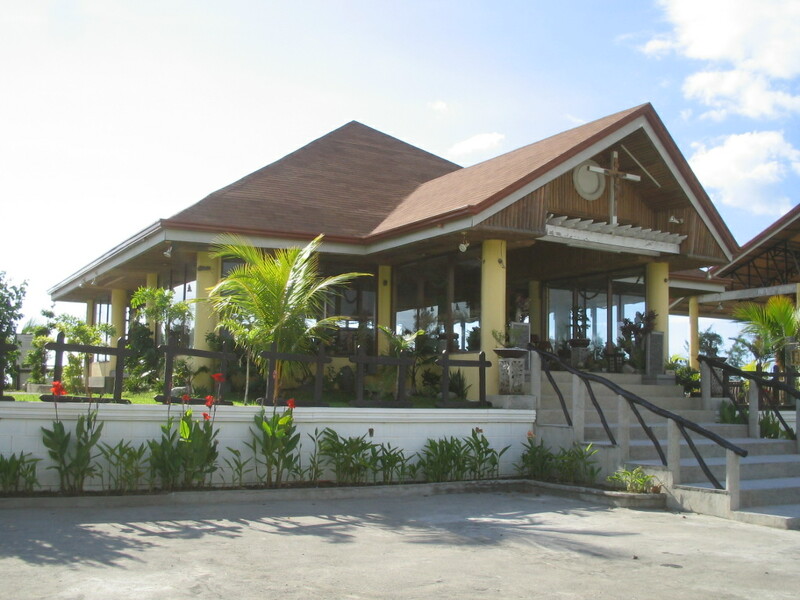 This is a building, although the restaurant that overlooks the shore is interesting. Right next to Tammy’s is LINDAMAR BY THE SEA. 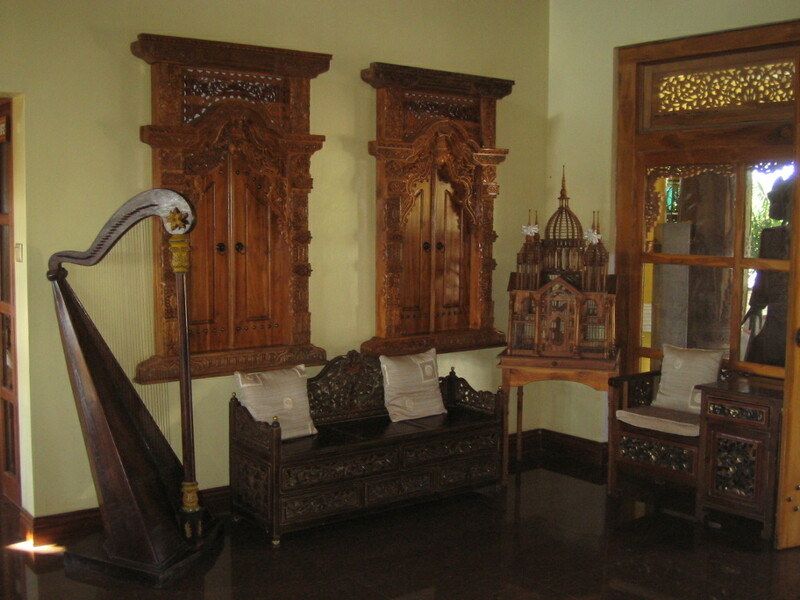 The place offers nice and cheap accommodations, but does not have a restaurant. 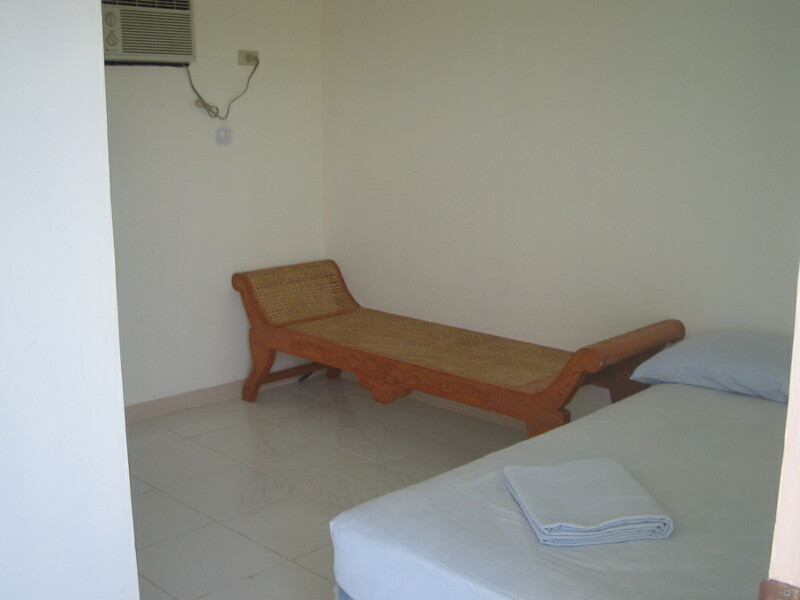 An aircon room for 3 persons is only P1,200 per night. 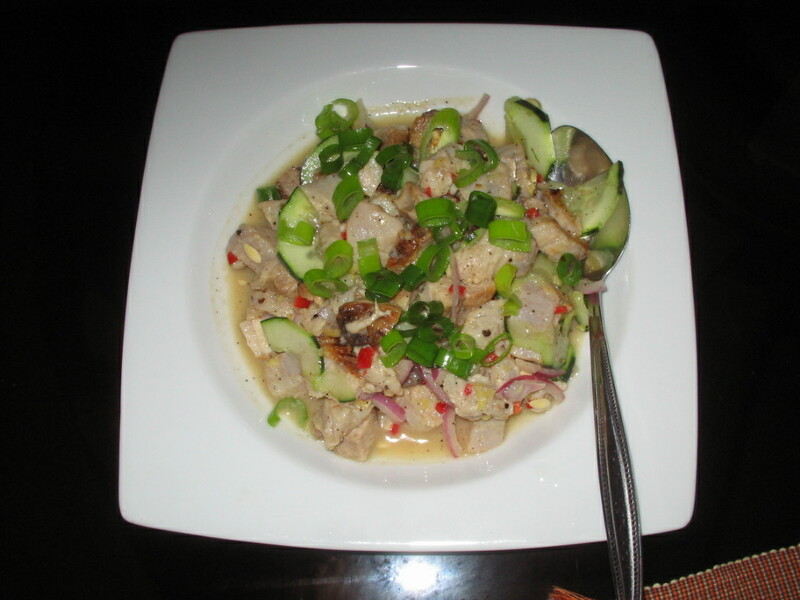 LINDAMAR can be booked by email: lindamar_bythesea@yahoo.com, or by phone 0908 3681004, 024332155. 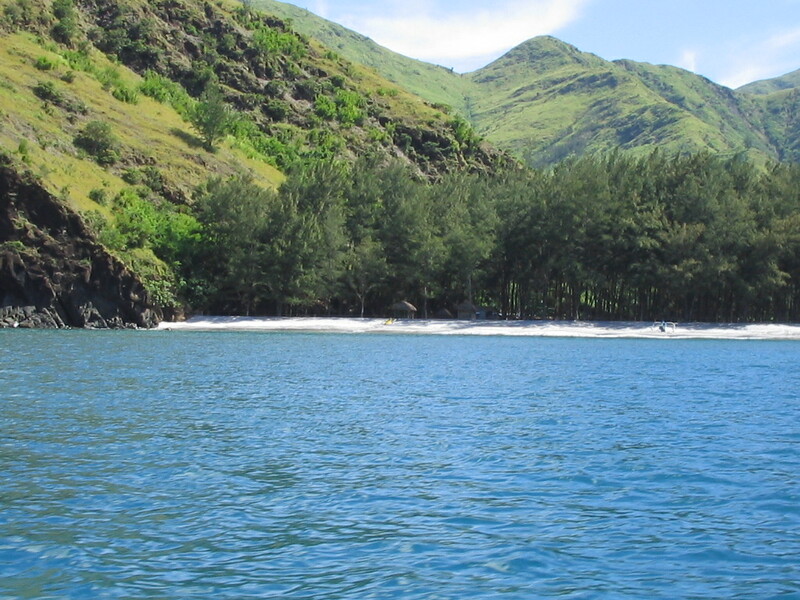 It is the reason you would want to go to Capones Island, off Pundaquit, in San Antonio, Zambales. Capones? The island of the castrated? 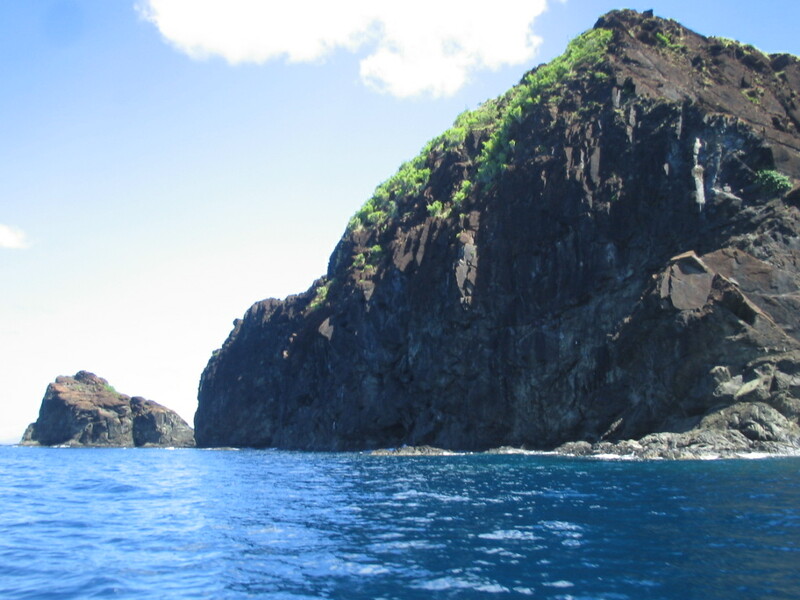 The boat ride will cost visitors P1,300 if coming from the high-end resort called Punta de Uian. 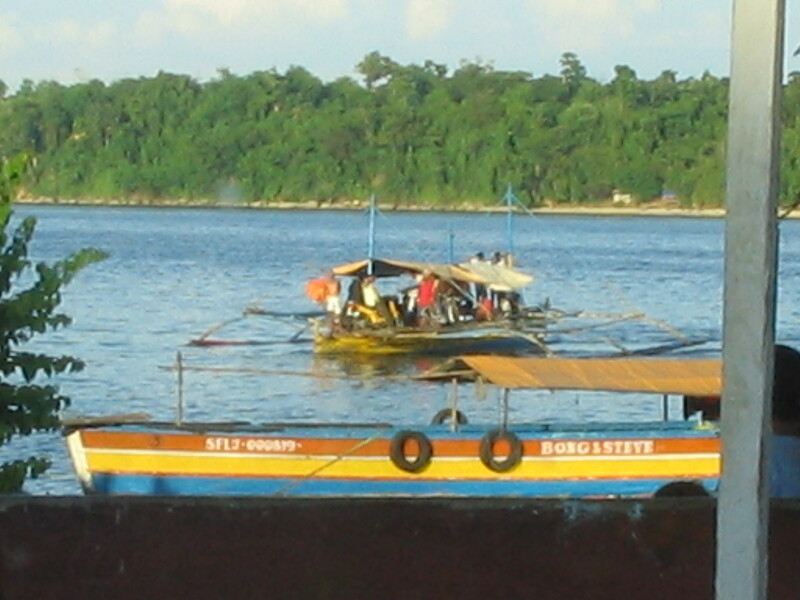 But boatmen in Pundaquit proper will charge only P800 for the trip. 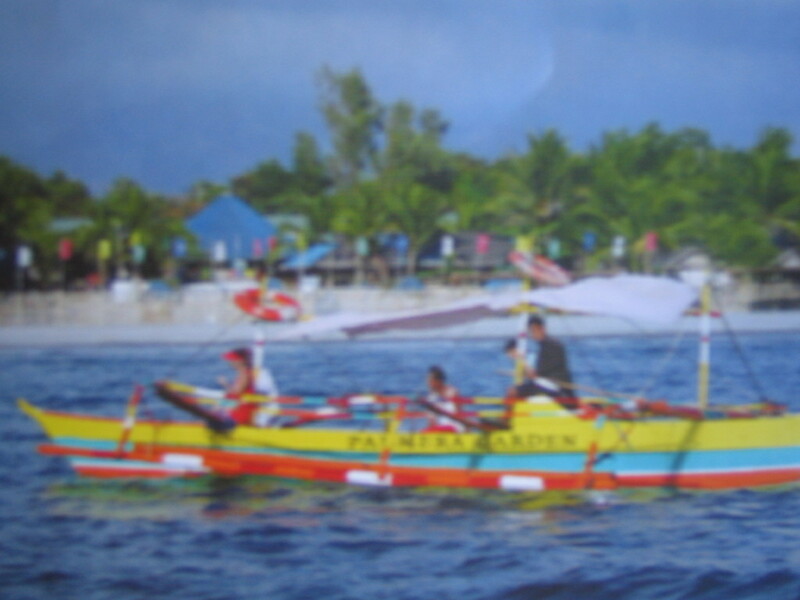 The boat took off from Patio Royal Resort, steered by boatman Joven Orcino. 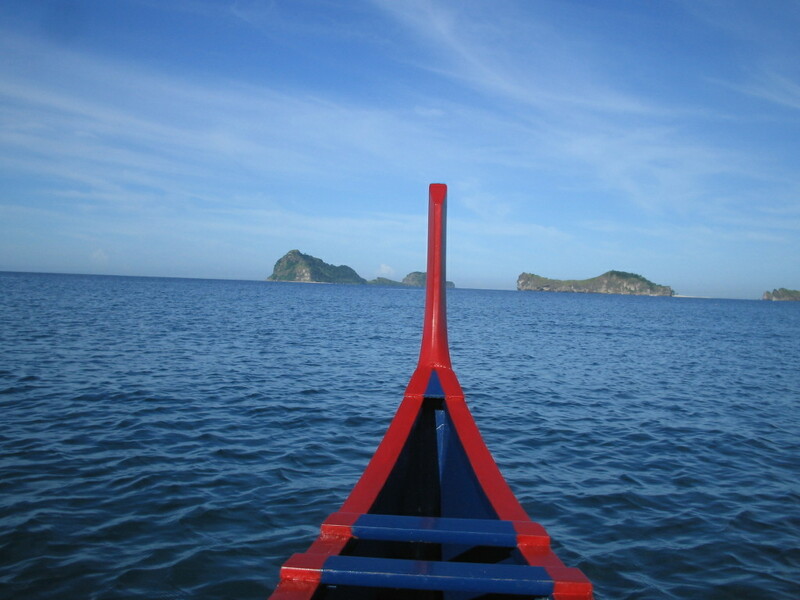 We first went around the nearby Camara Island, and then circumnavigated (feeling like Magellan?) the island of Capones, deciding where we could get off to explore the island. 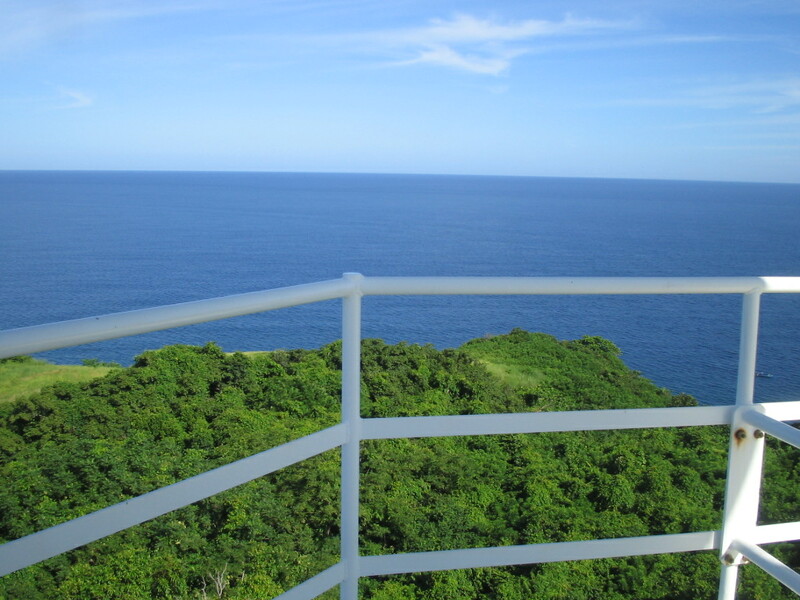 We went to the back, which happens to be the front view of the light house, facing the China Sea. We couldn’t land there – – the water was rough. We went around again and decided to approach the island from the other side. No wharf, we just steered the boat to a small clearing amidst rocks. The boat was so unsteady I had to hand over my belt bag and camera to the more agile boatman, lest I trip and get the camera wet. 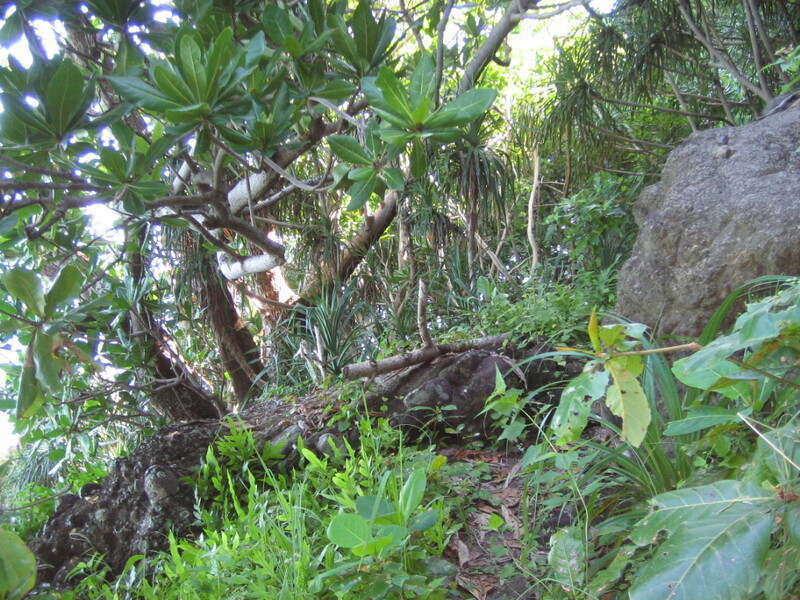 From that clearing, we ascended a path that is sometimes rocky, sometimes muddy, covered with trees and shrubs. I had to be careful, we could fall off the ravine. 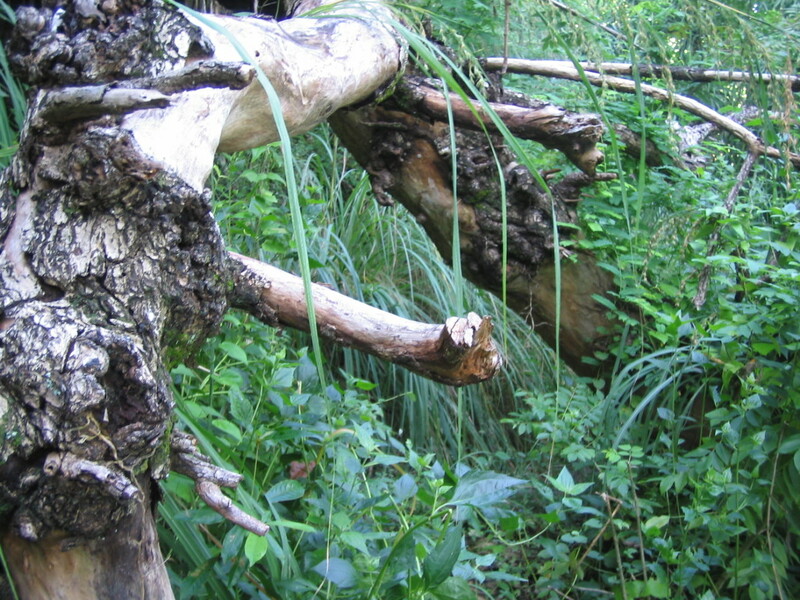 At some point, we had to pass thru a fallen tree. It wasn’t a very long hike, but it was a rather difficult one for those not used to walking in the bush. The reward for the “hardship” was well worth it. 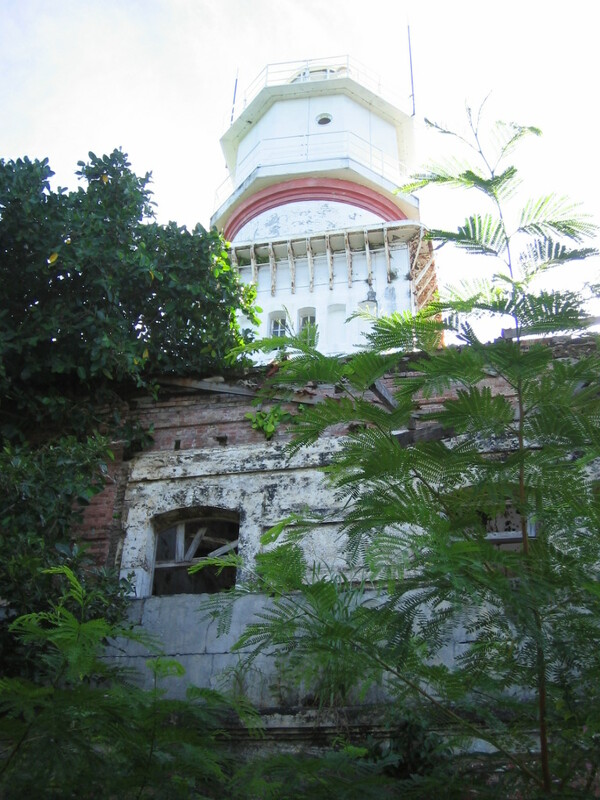 The light house stood proud, but the caretaker’s place, and what probably were “offices” in the old days were nothing but ruins. Eerie. And yet, one can imagine how it must have looked like in its glory days. Today, it would make a good setting for a horror movie. Yet, the view is magnificent. 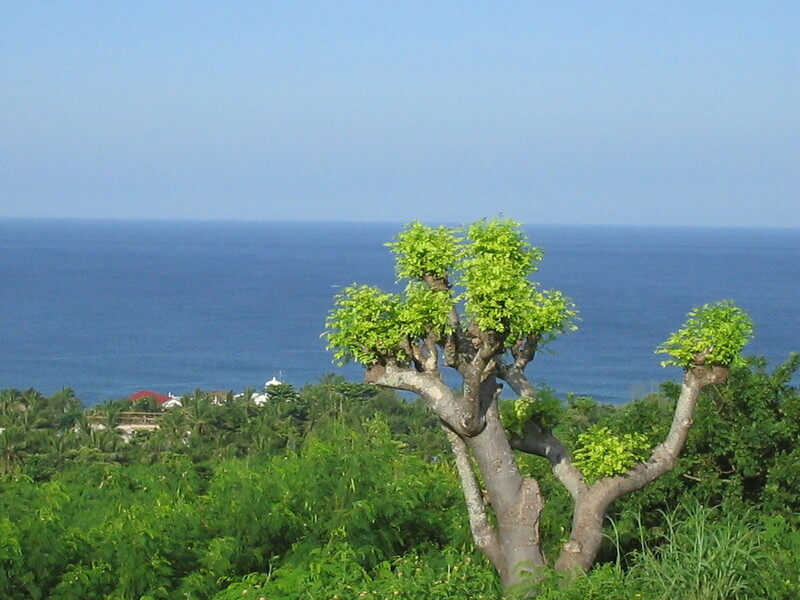 A clear view of the ocean, accented by foliage from the island. Climbing the tower is another eerie experience. 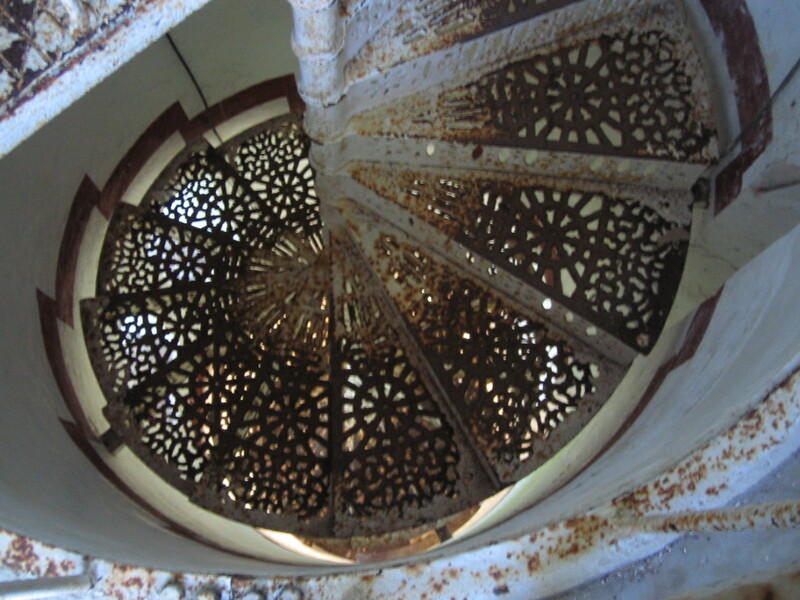 The spiral staircase, while looking sturdy, seemed to dance and gives one a feeling it could collapse anytime. I just thought that if it did, its very shape will prevent it from falling, it will just lie on the small space where it stands. 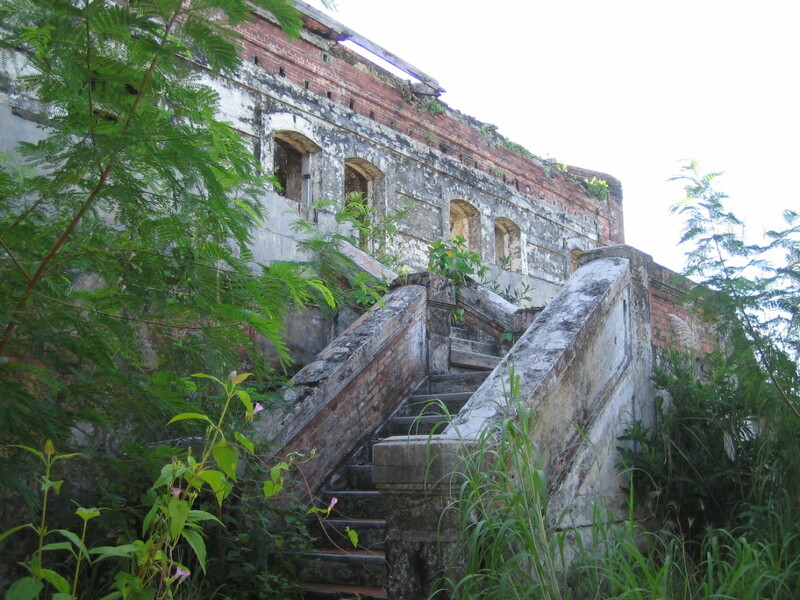 After the spiral staircase came two ladders that seemed to be in perfect vertical angle. This gets visitors to the viewing deck level. But the gate was closed, and the only way to view the horizon was to go up a third, and more difficult-to-manage vertical ladder. From there, one will feel like he owns the oceans. 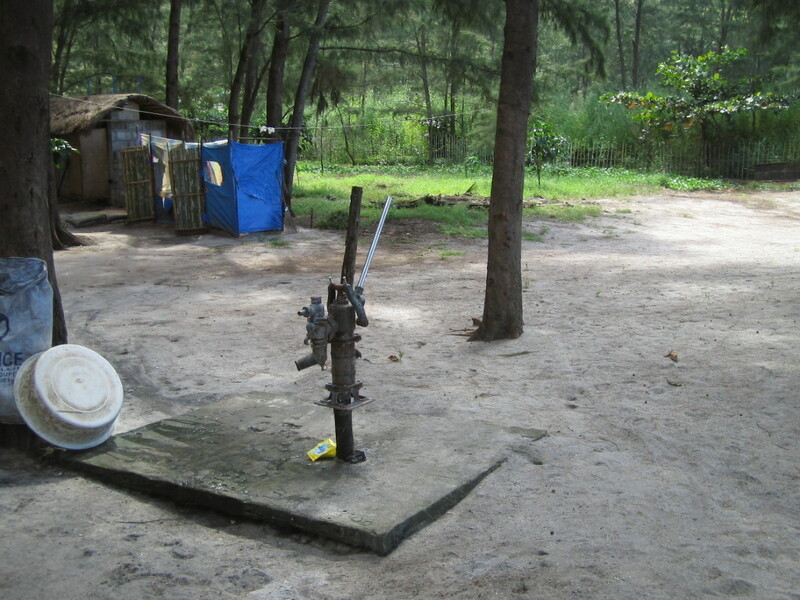 There are no facilities in the island. I would not even encourage camping overnight, unless you bring everything, including water to drink. I am not even sure if it is allowed. No matter, just being there for a few hours is worth the cost and the effort. I wouldn’t mind visiting again. 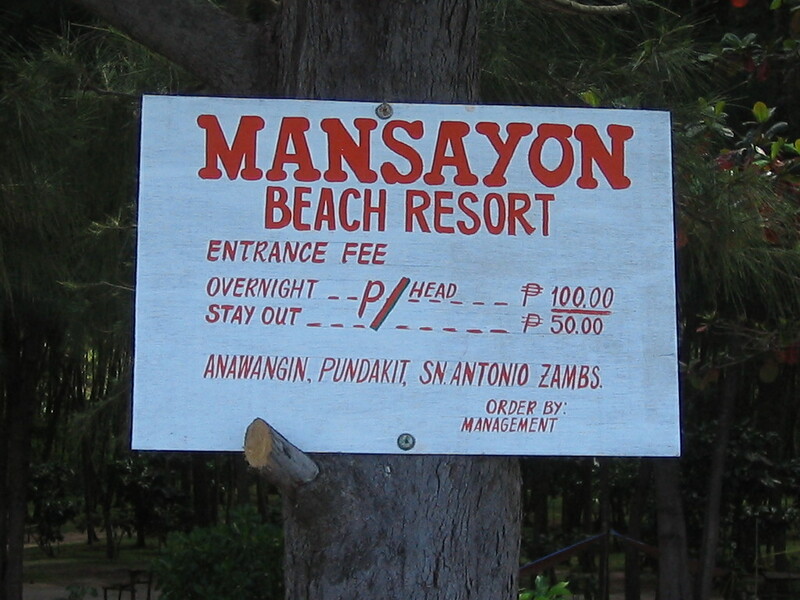 Visitors can choose to stay overnight in the various resorts in Pundaquit, or in Anawangin Cove. 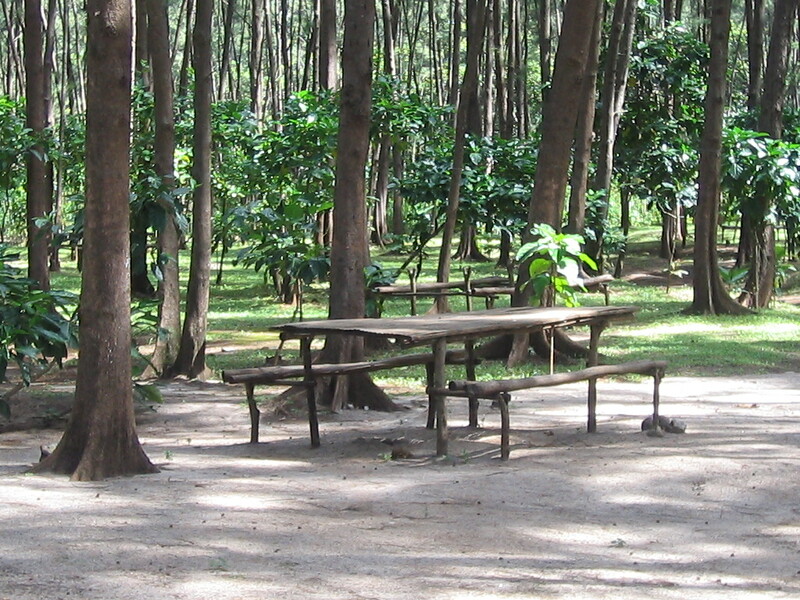 I have covered these possible accommodations in a previous blog on Anawangin. 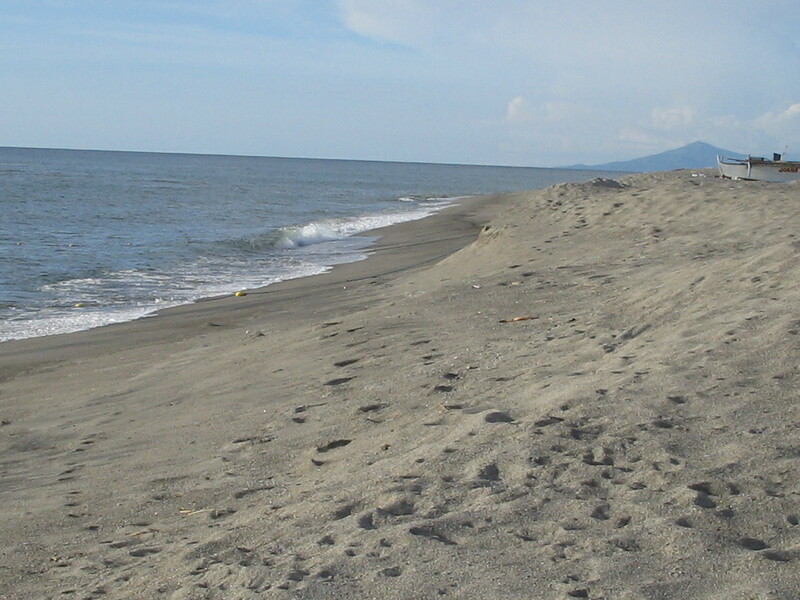 I went to Zambales primarily to go to Anawangin , not wanting to be the last to see this beach which some have labeled as one of the top 5 in Luzon. 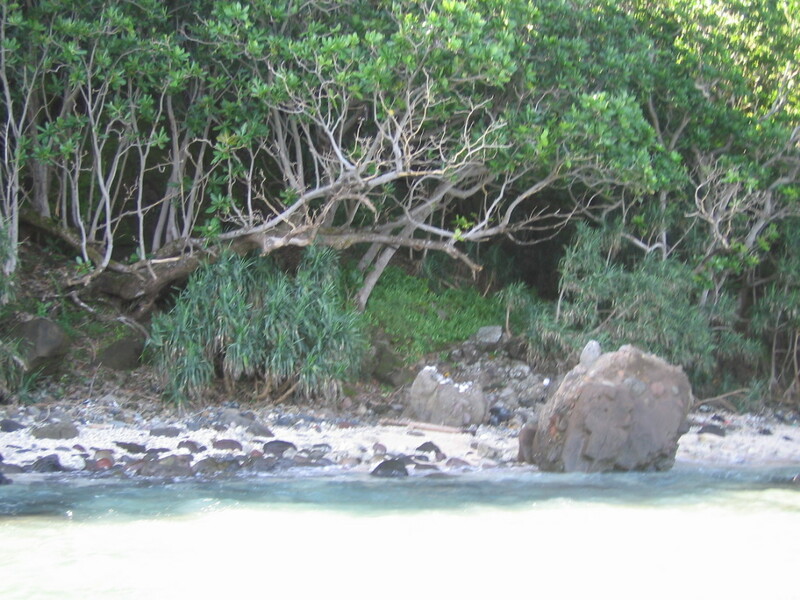 To nature lovers, it just might be the number 1 beach destination. A friend who saw my post on facebook, after reading my description, commented that it seems like Bora in the 70s. My guess is that it will stay the same for many more years. But get there fast, before commerce sets in. Anawangin is back-to-basics. Isolated. No electricity.No cell phone signal. No room accommodations, no restaurants, no bars, no shops. Bring your tents, food, water, and other provisions. For an entrance fee of P100 per person, campers can stay overnight, pitch their tents, use the picnic tables around, use the improvised showers (water from artesian well), and the toilet facilities. Other things you might forget may be available in the sari-sari store, the owner of which can even cook the meat and fish you bring to the cove, for a small fee. Anawangin is unique. 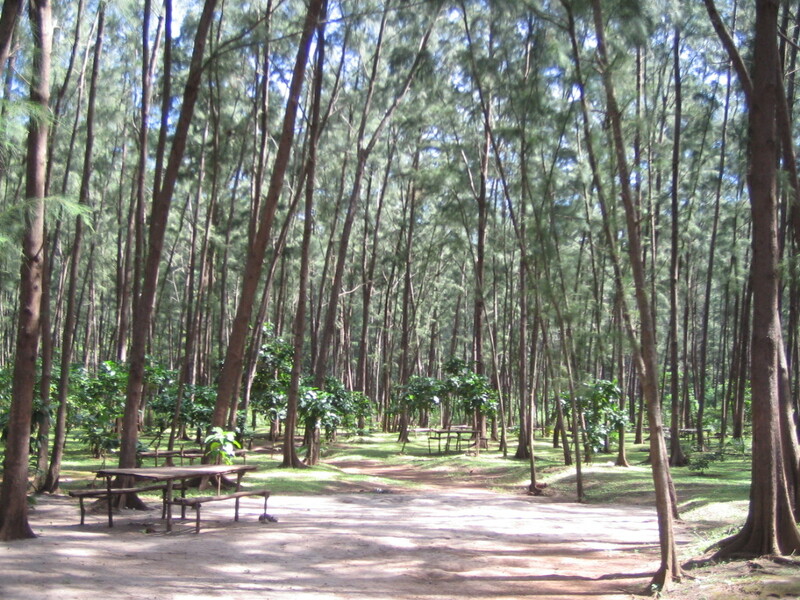 It is the only beach area I ever went to with a thick cover of tall pine trees. 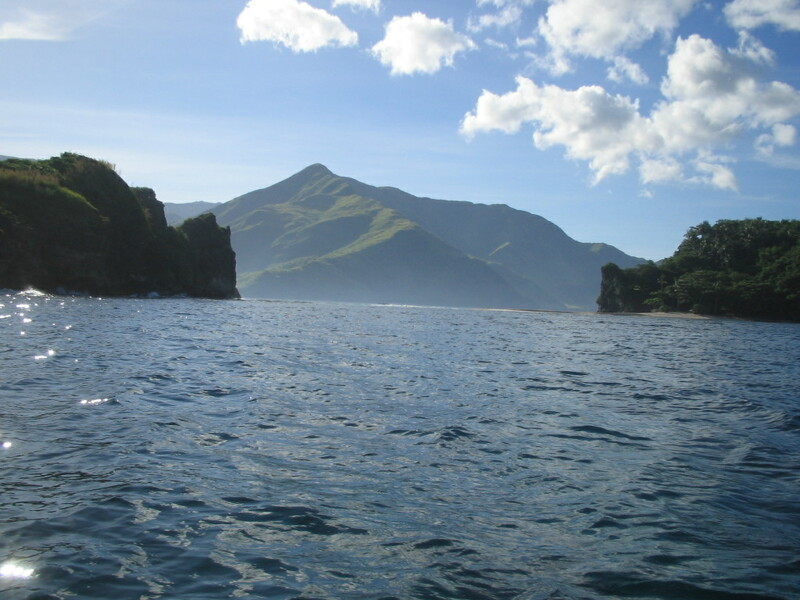 Imagine a beach cove on top of the mountains in Benguet. 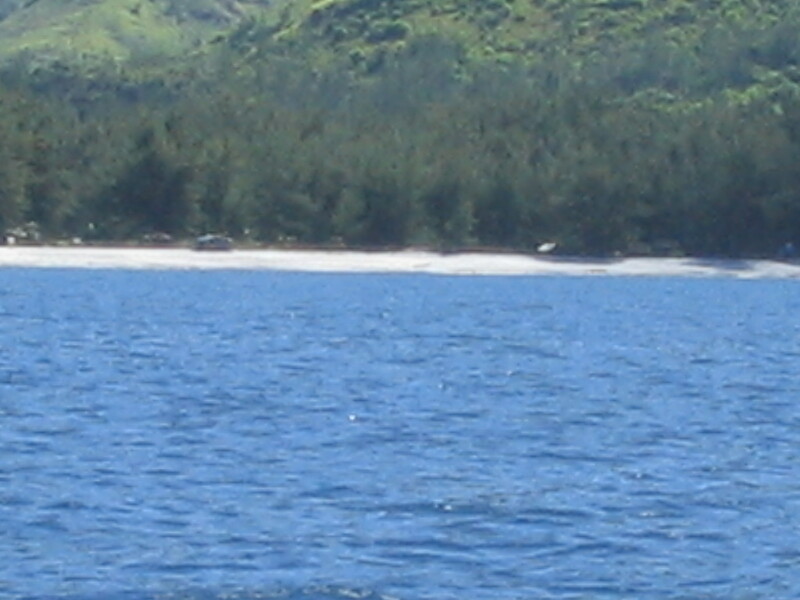 The powdery off-white sand is said to be lahar, from the eruption of Mt. Pinatubo. 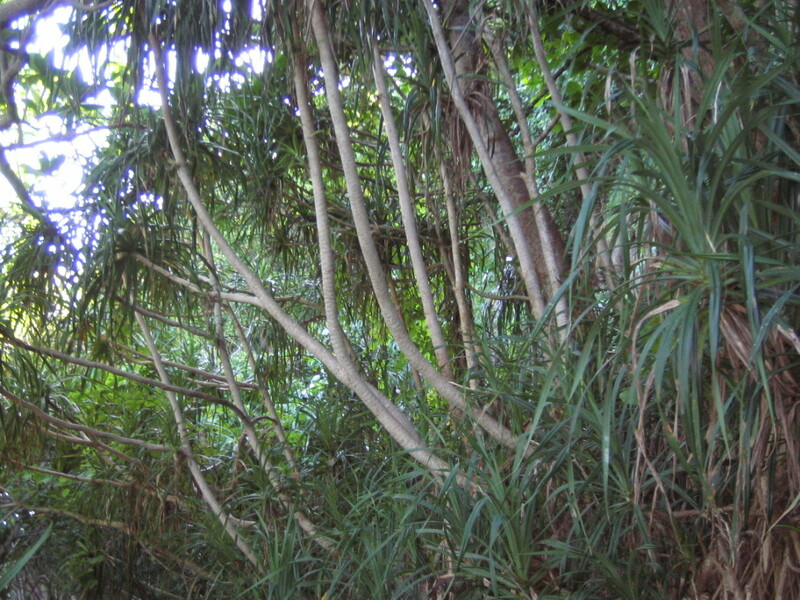 The pine trees (like the agujo in Baguio) are said to have grown in the area directly as a result of volcanic waste flowing into the cove, bringing with it fallen pine trees and pine tree seeds. The cliffs are gentle enough and seem to be calling trekkers. The hill at the back also offers trekking opportunities, but locals never fail to caution adventure travelers about wild animals that roam the mountains. 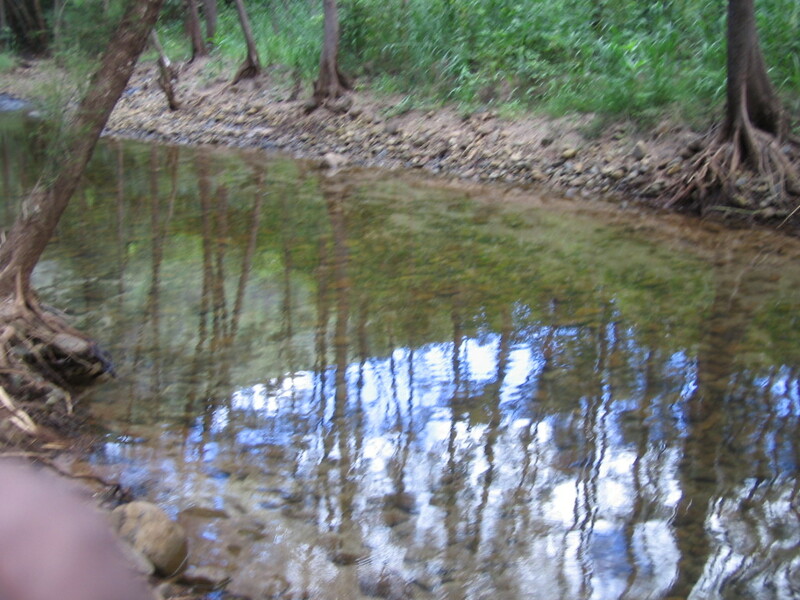 The lagoon is refreshing, shaded by the pine trees. The water is fine, but there have been reports of strong undercurrents. Best to stay near the shore, and always swim in groups or with a buddy. To truly enjoy the natural beauty of Anawangin, avoid the months of April and may when campers fill up every little space. 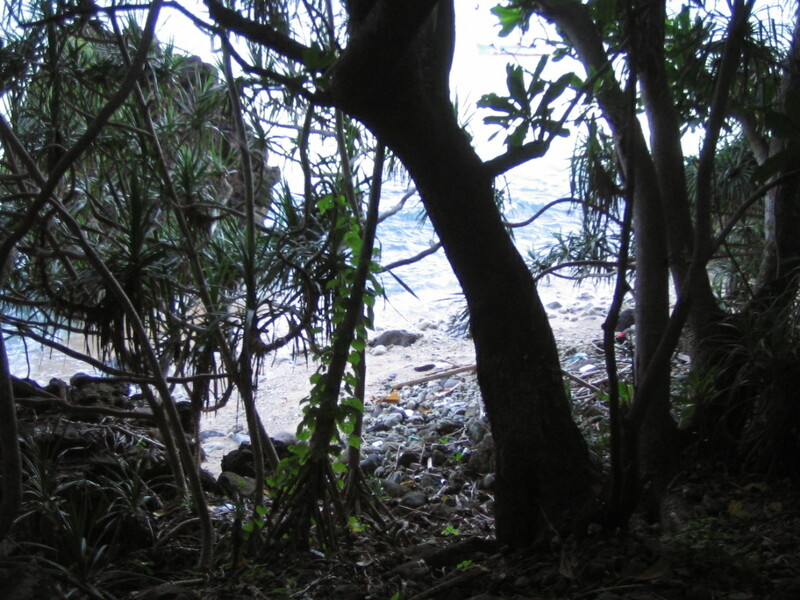 I went there with no other visitors on the island, and felt like I owned the place. 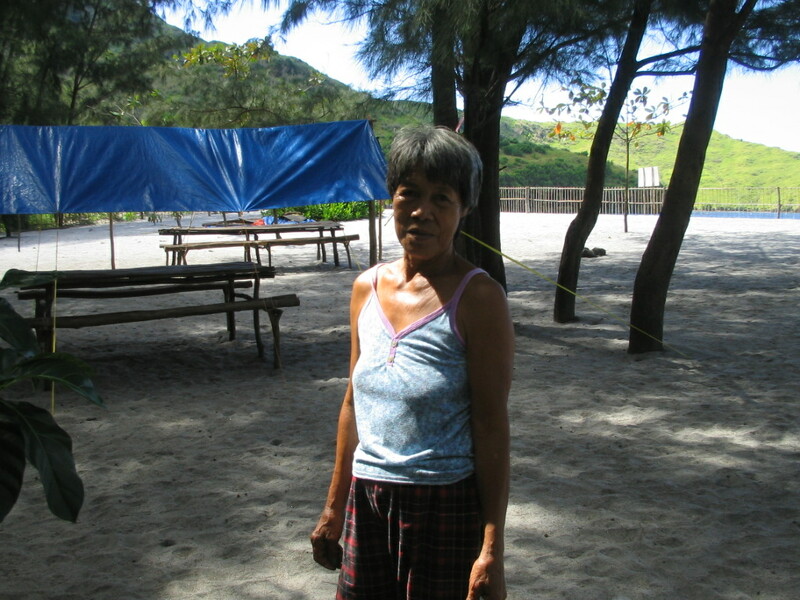 Yes, Anawangin is THE destination in Pundaquit, which now seems to be THE destination in all of Zambales. Travel time from Manila is approximately 5 hours, passing thru NLEX-SCTEX and SBMA. 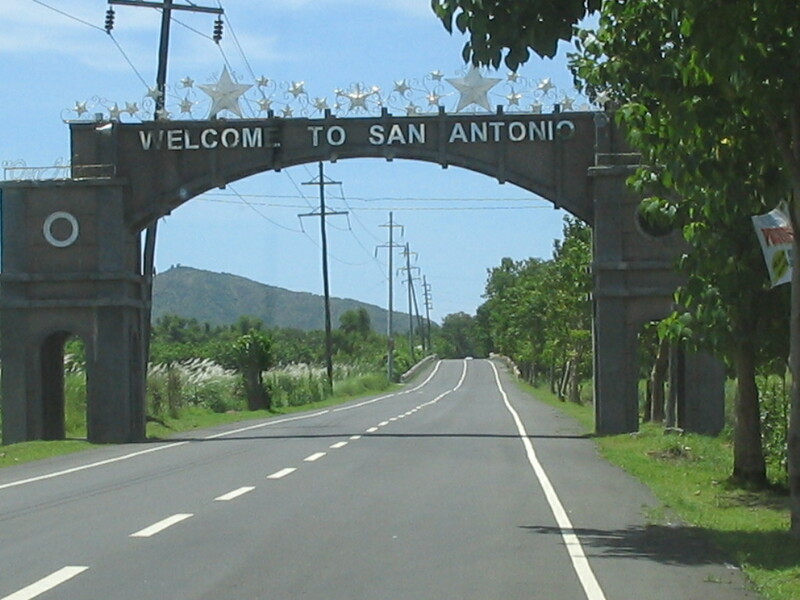 San Antonio is just past San Marcelino. Victory Liner goes to Iba, so you can ask to be dropped off in San Antonio. Tricycles can take visitors from the town proper to Pundaquit. 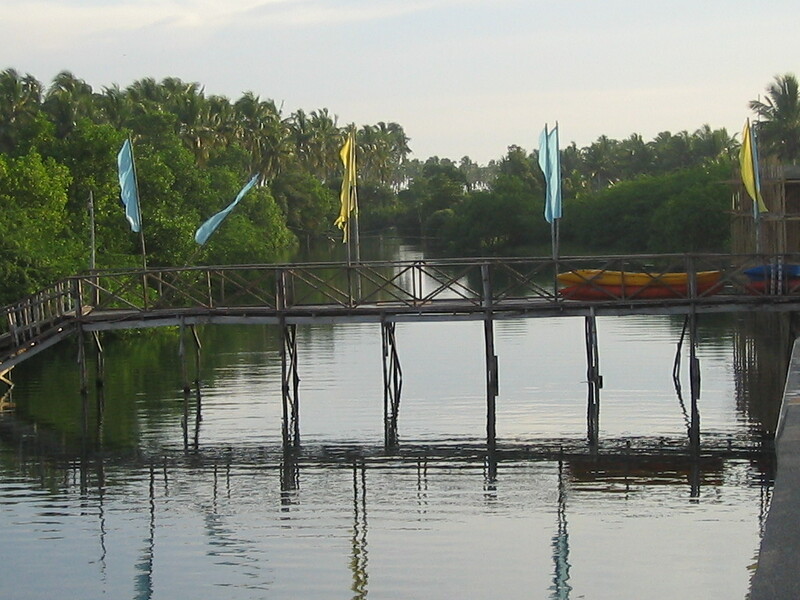 Those traveling with their own vehicles can park in Pundaquit, and arrangements can be made by the boatman. 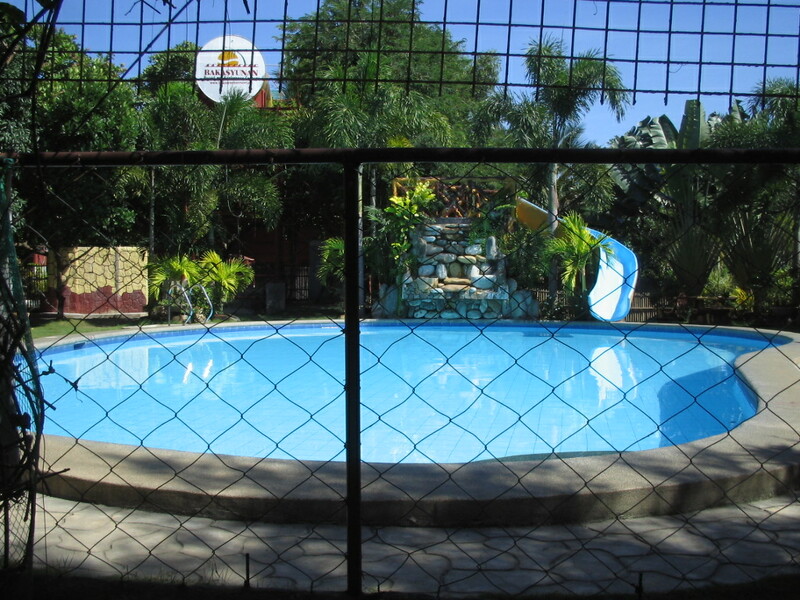 For those who want to visit Anawangin but not camp there, accommodations can be booked in Pundaquit. The top hotel is Punta de Uian, a huge resort-hotel complex done in a Balinese theme.Room rates start at P4,160, with the penthouse at P15,000, with huge discounts during off-peak months. 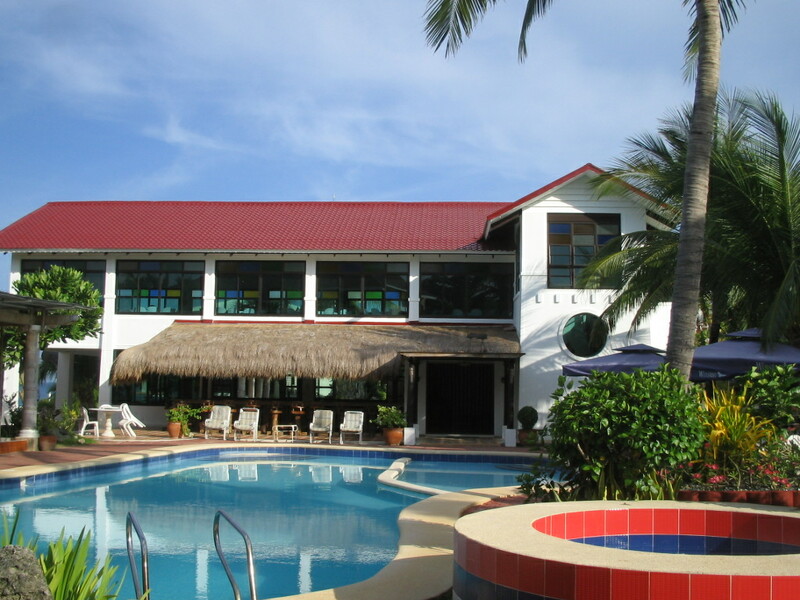 The resort has a spa, a swimming pool, a restaurant, and offers recreation facilities like ATVs, kayaks, jet skis, and snorkeling. 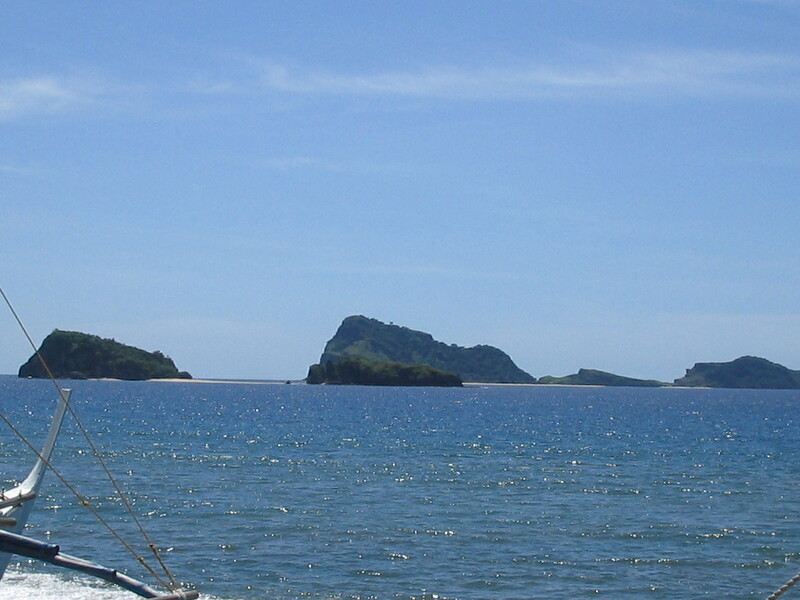 Island hopping can be arranged, although the prices of boat rides from Pundaquit proper are much cheaper. 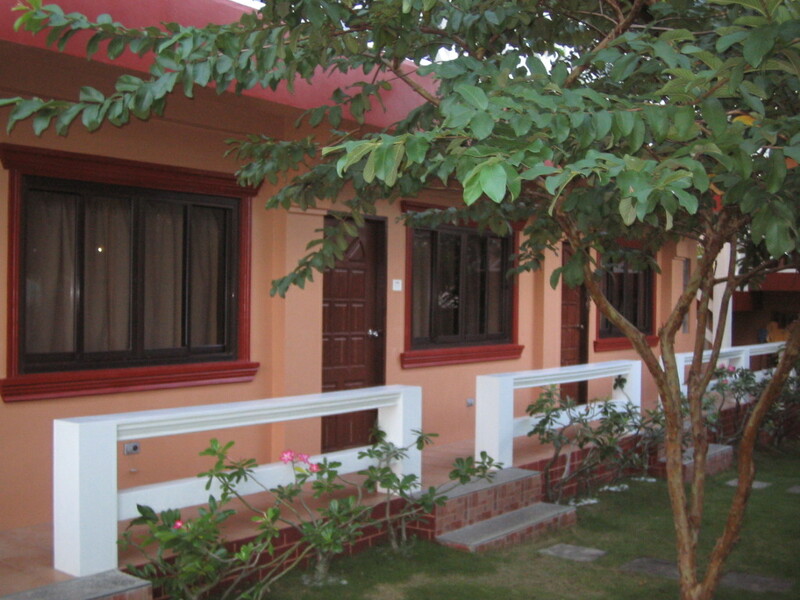 A more simple accommodation can be booked at Royal Patio Beach Resort. 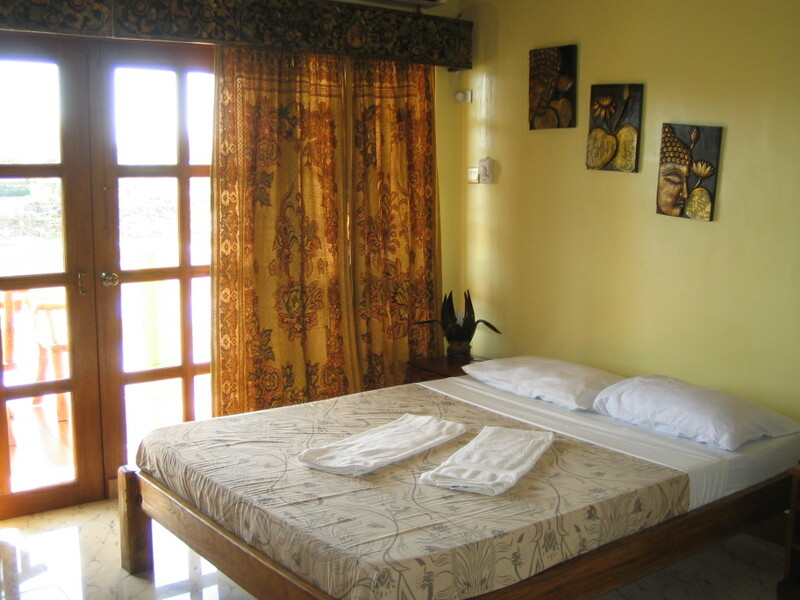 Airconditioned rooms start at P2,400 with a family room (3 queen sized beds) at p7,000. 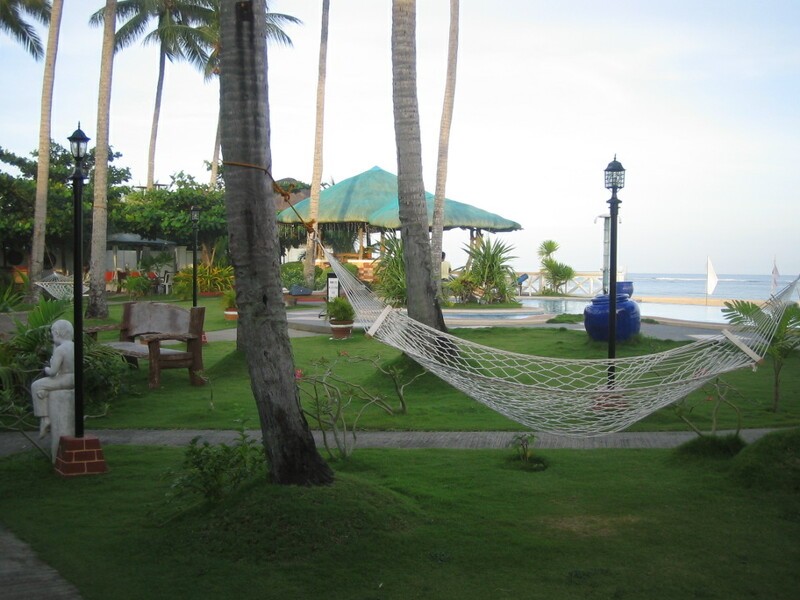 There is a bar and restaurant, pool table, videoke, kayaks, and boats for island hopping. 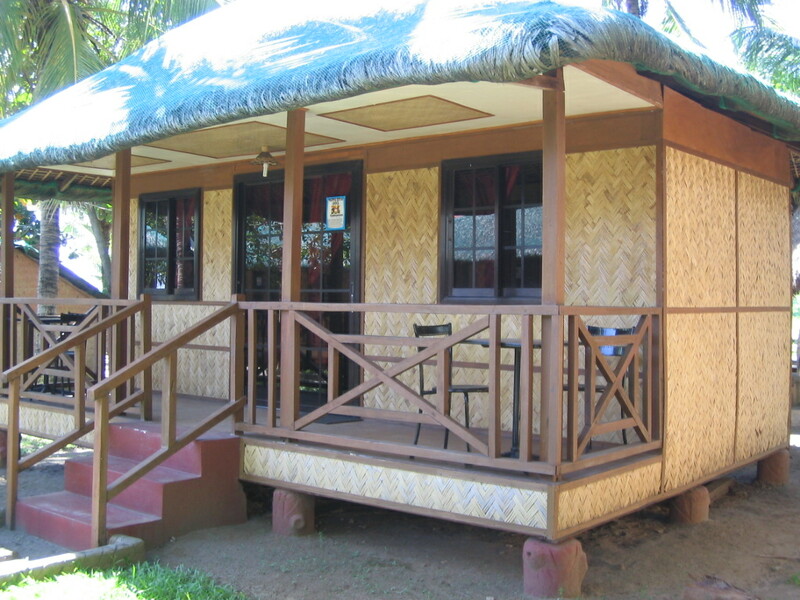 There are other inexpensive accommodations, like native bamboo cottages by the beach, like those at Sun & Surf. The place is like an informal resort, with the owners operating a sari-sari store at the corner. 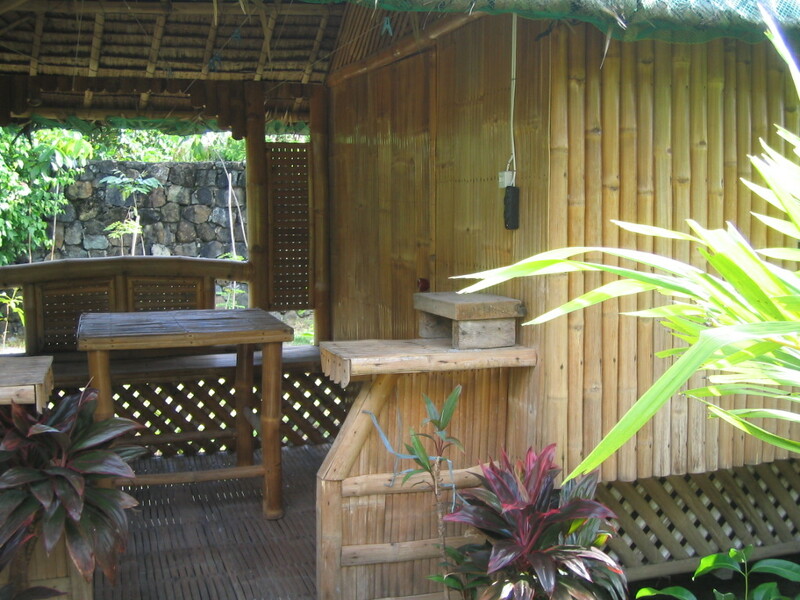 No toilet facilities in the bamboo hut, but a common facility is located at the end of the property. 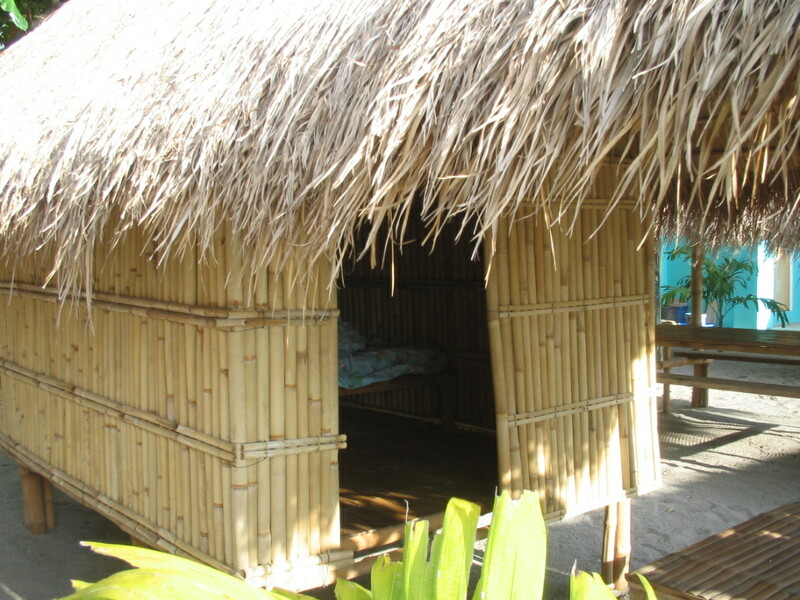 Each bamboo hut costs P1,000 for an overnight stay. Contact Oliver Padua at 09217696663. 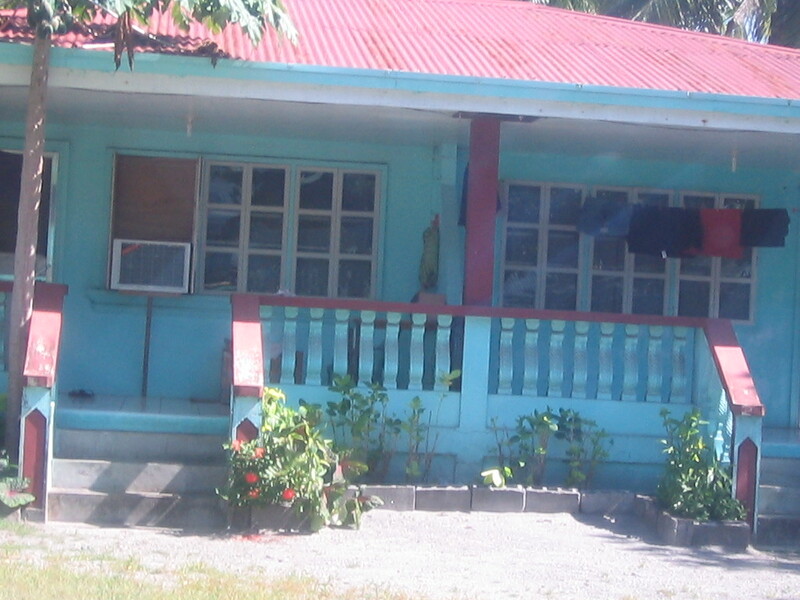 Right beside Punta de Uian are two inexpensive accommodations. 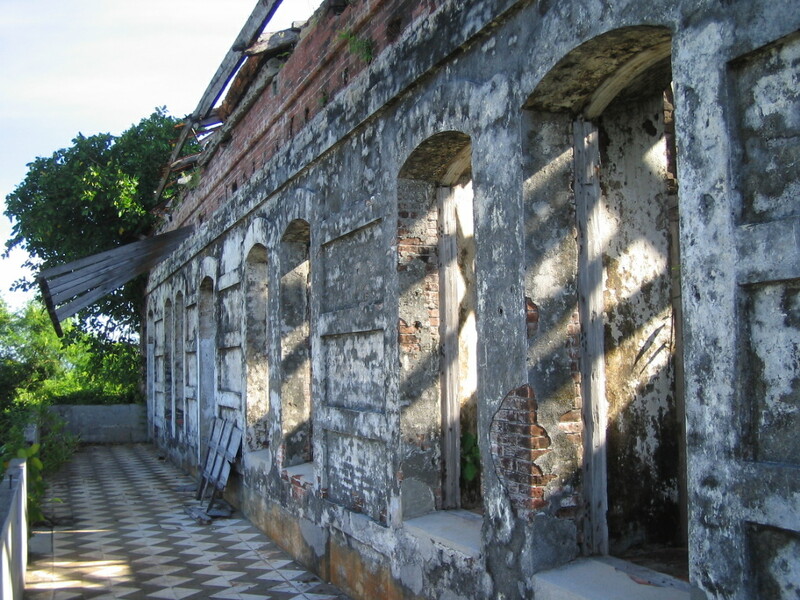 One is called Aplaya Inn, accessed from a road at the dead-end of Punta de Uian. 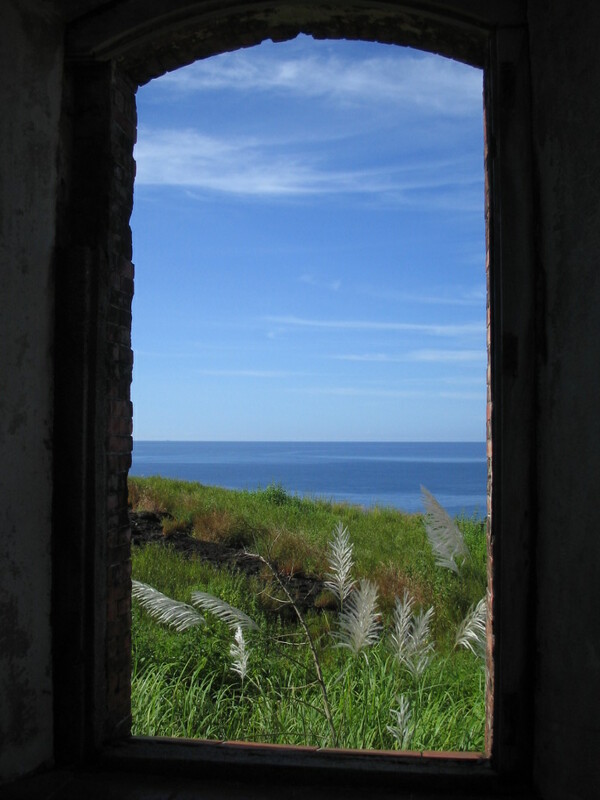 You will think the road stops at the far end of Punta de Uian, but there is a small perpendicular road that is not visible to the driver unless you know that that small road exists. 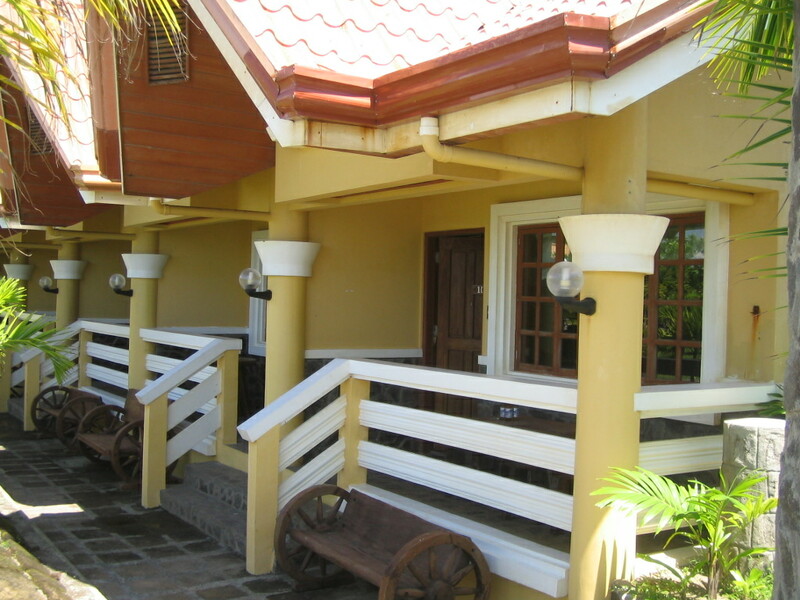 Rooms are from P1,000 to P2,000. He says that when a group rents the 2 rooms, they don’t mind how many people actually occupy the place, making the place virtually exclusive. Other members of the group can also pitch tents. Food can be arranged, with Joel’s wife doing the cooking at a P150 cooking charge. Guests need only to buy from their store what they want cooked: half a kilo of pork is P100, half a kilo of bangus is P65. Nice place for a bonfire at night. 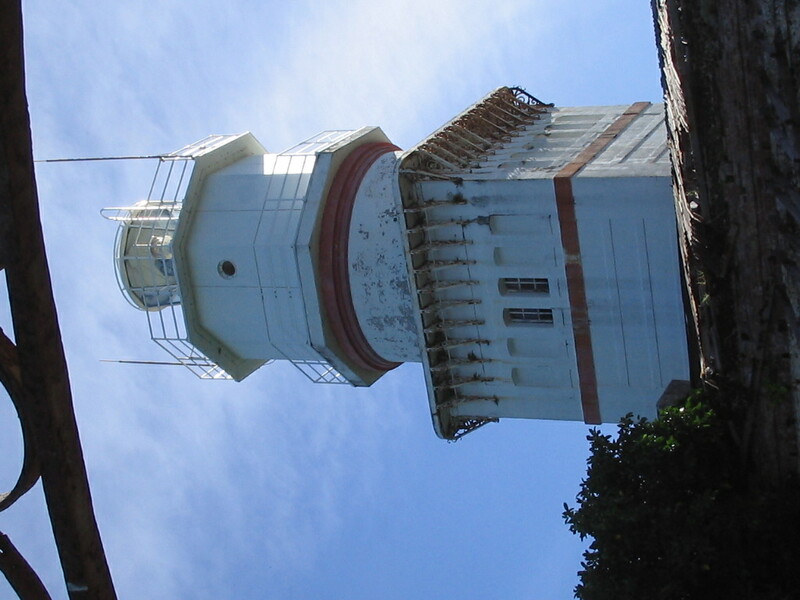 Boat trips can be arranged for a tour of Capones Island, with its magnificent light house, and the nearby Camara Island. I am writing about Capones separately.